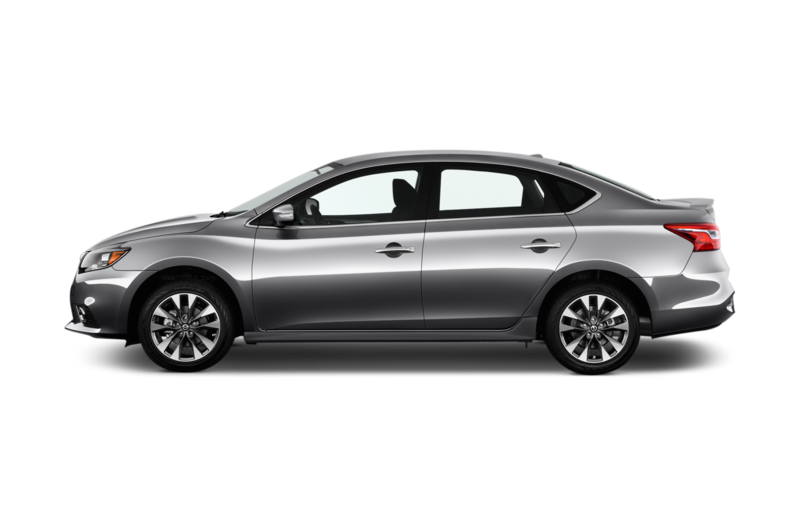 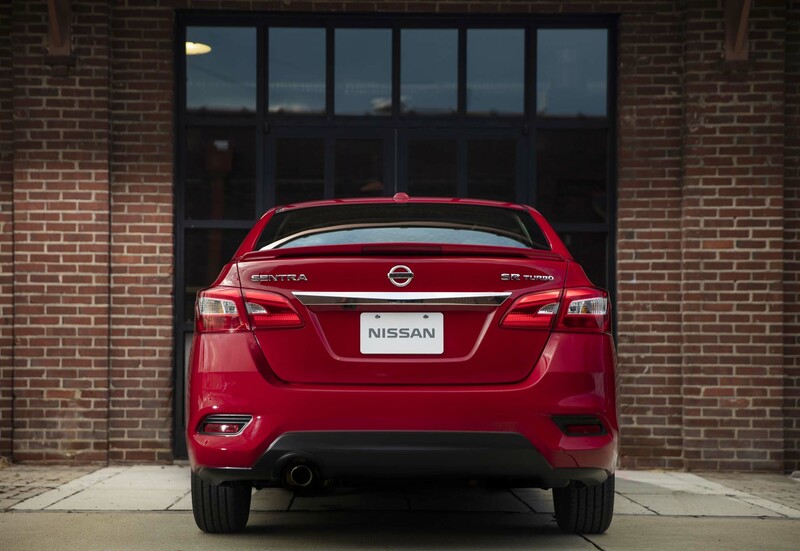 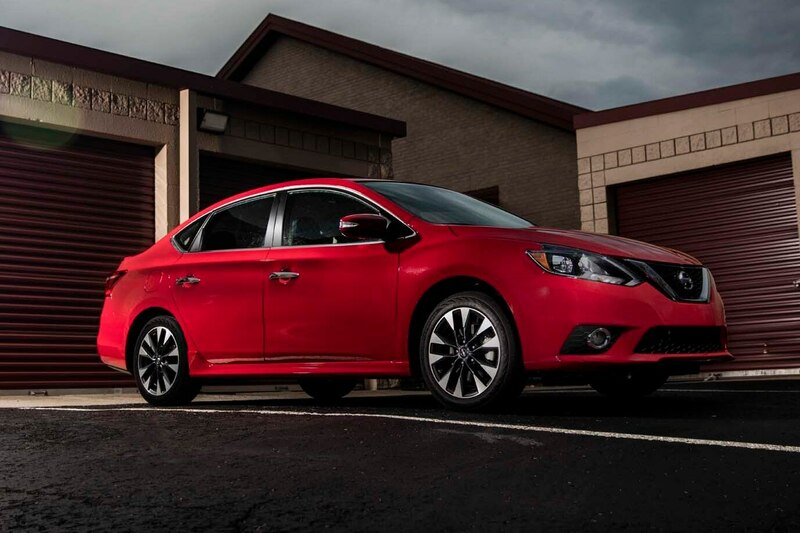 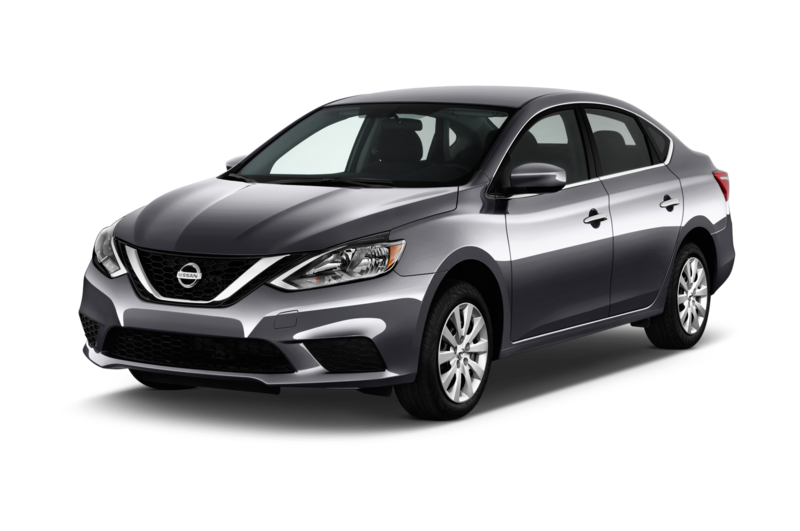 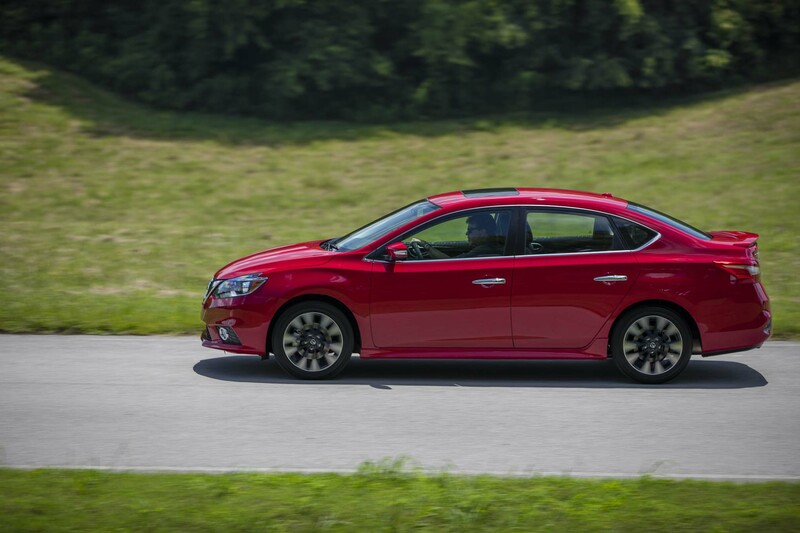 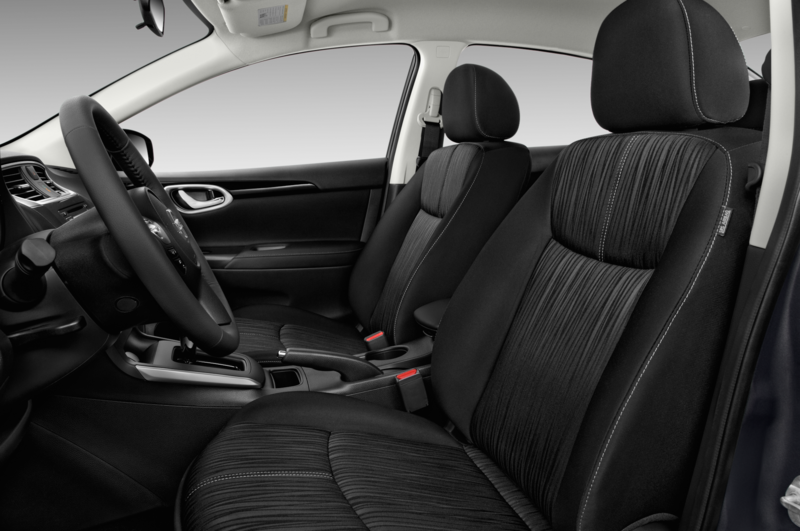 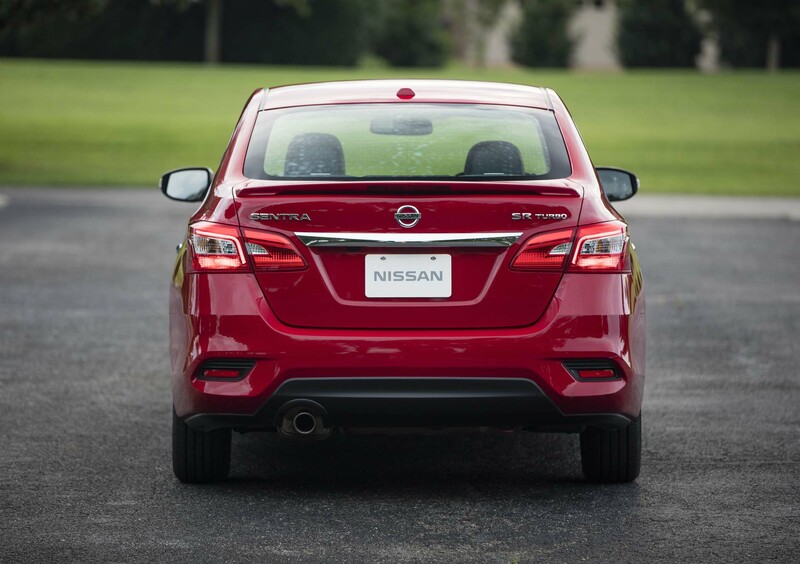 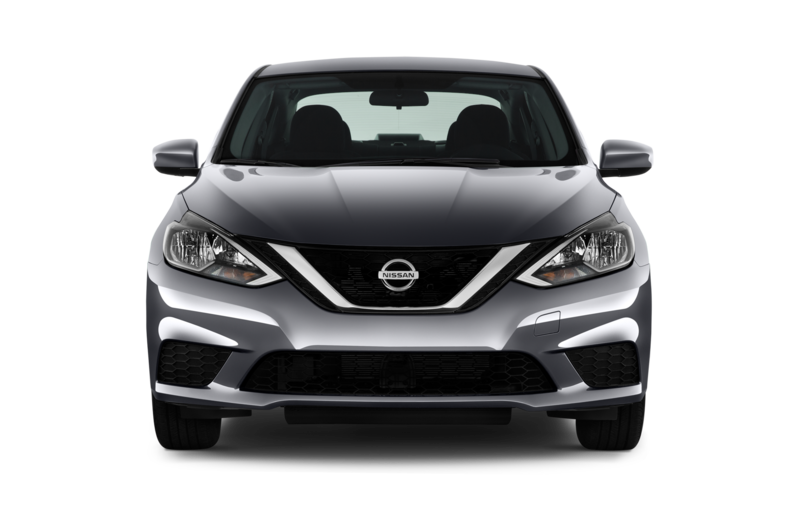 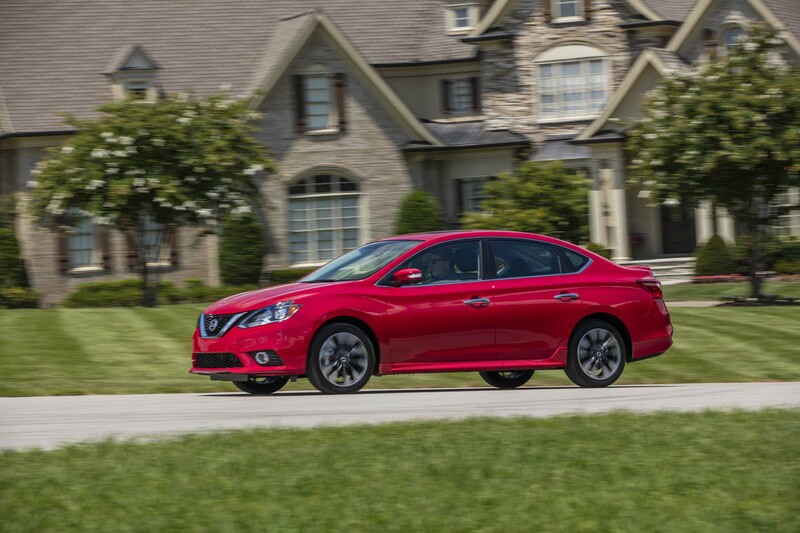 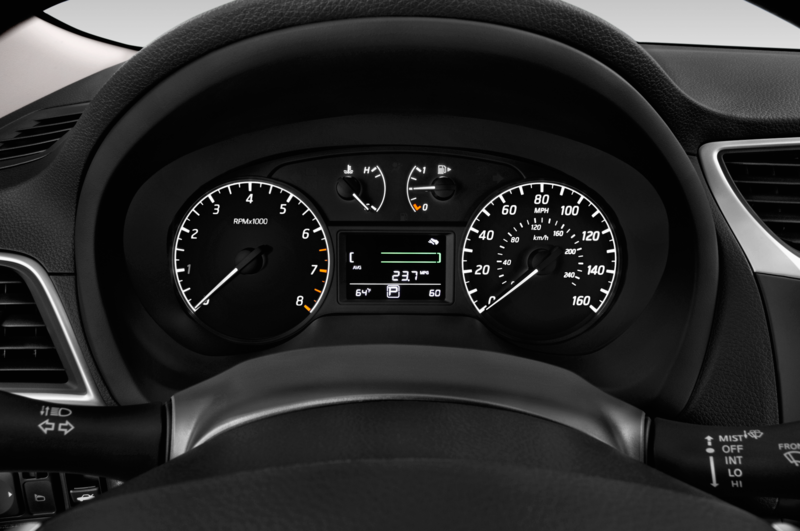 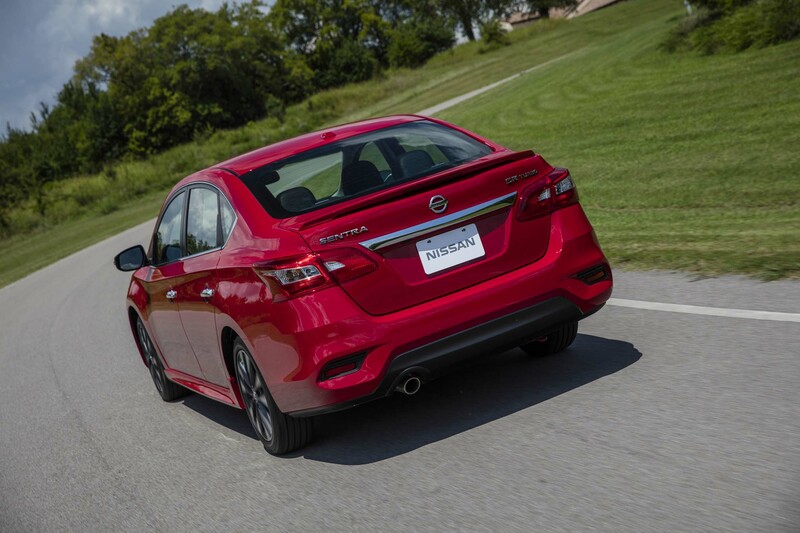 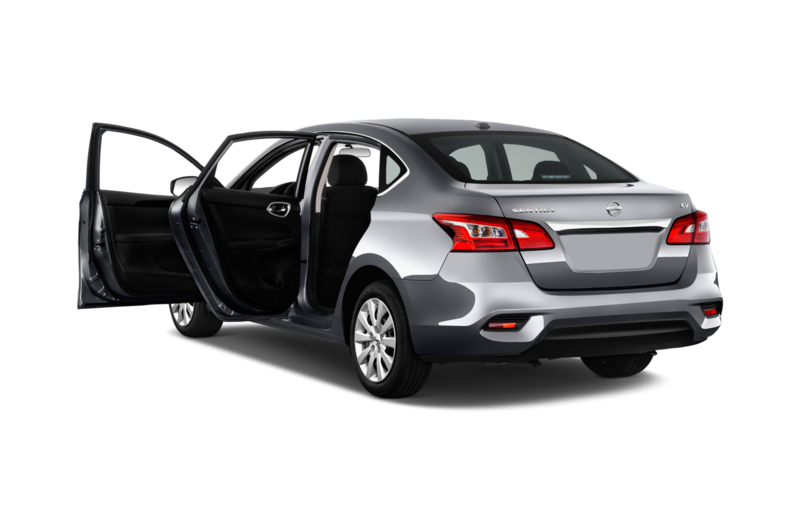 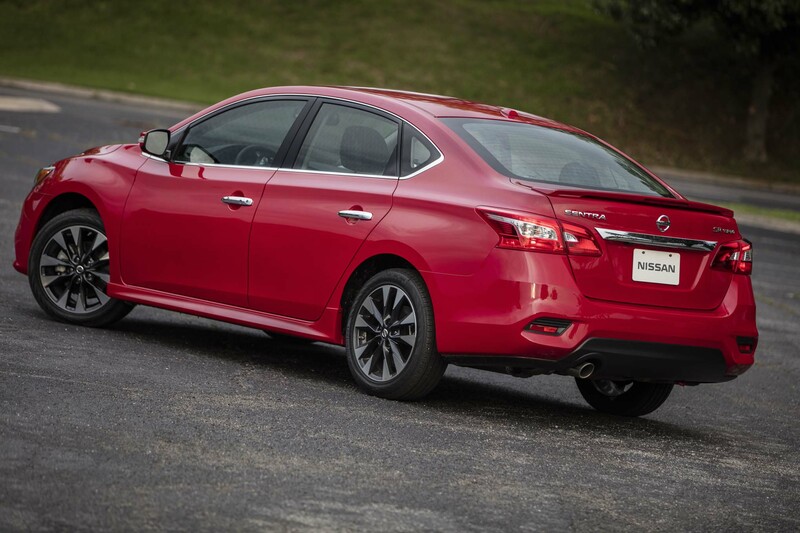 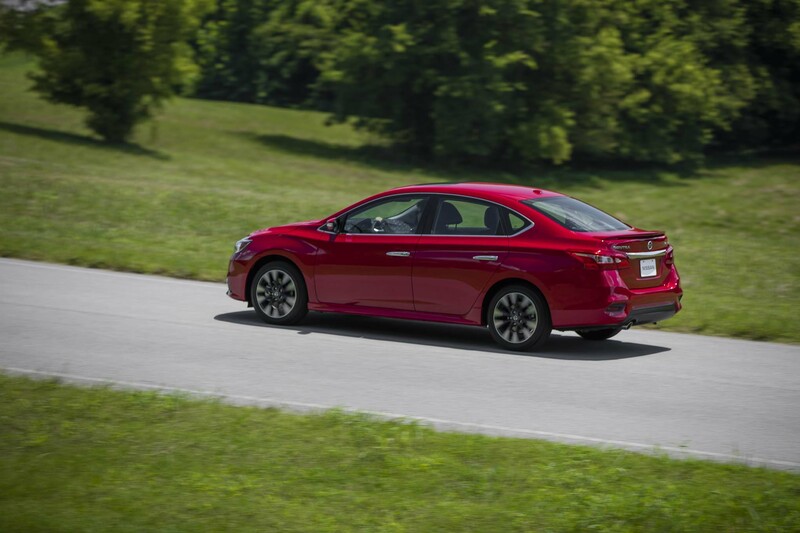 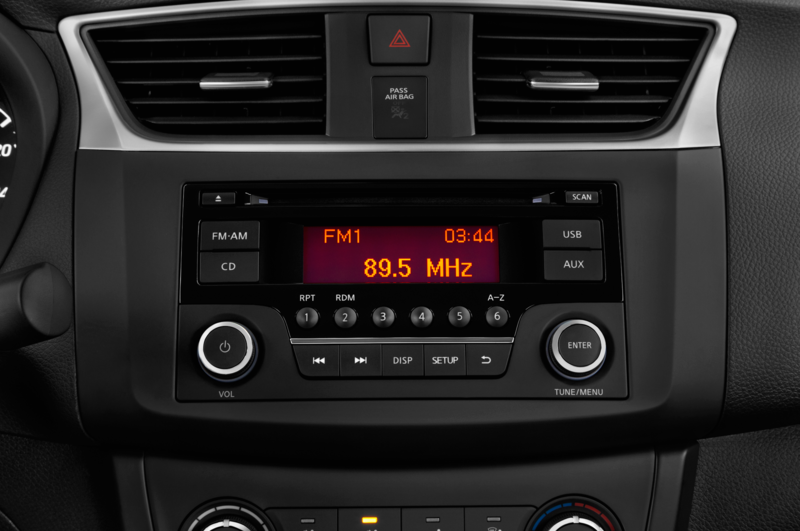 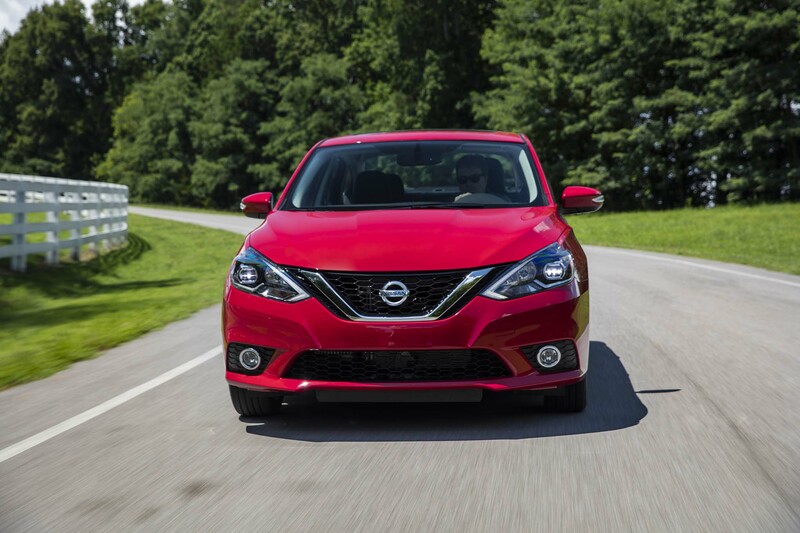 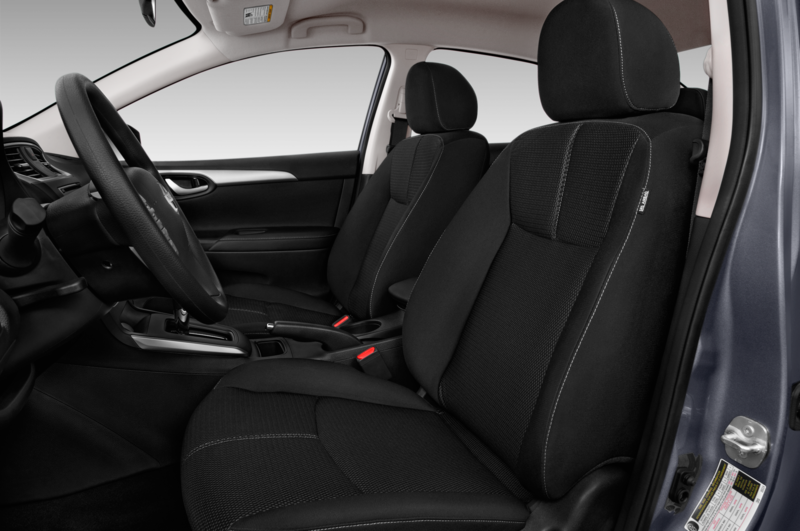 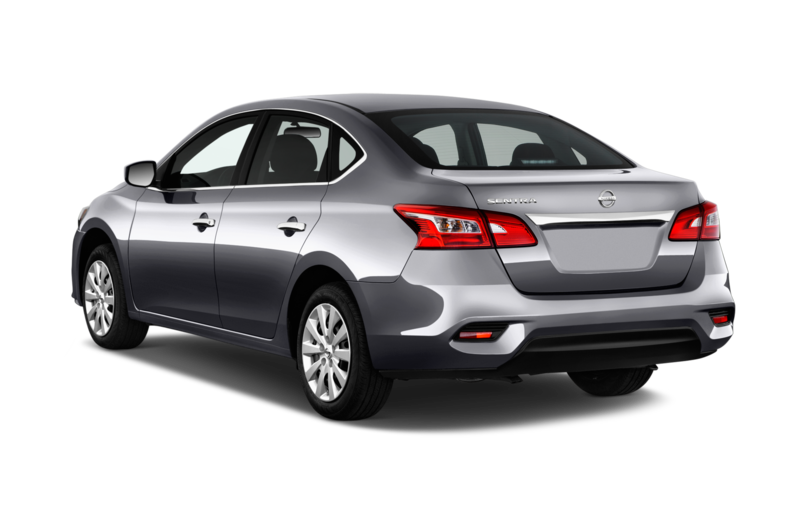 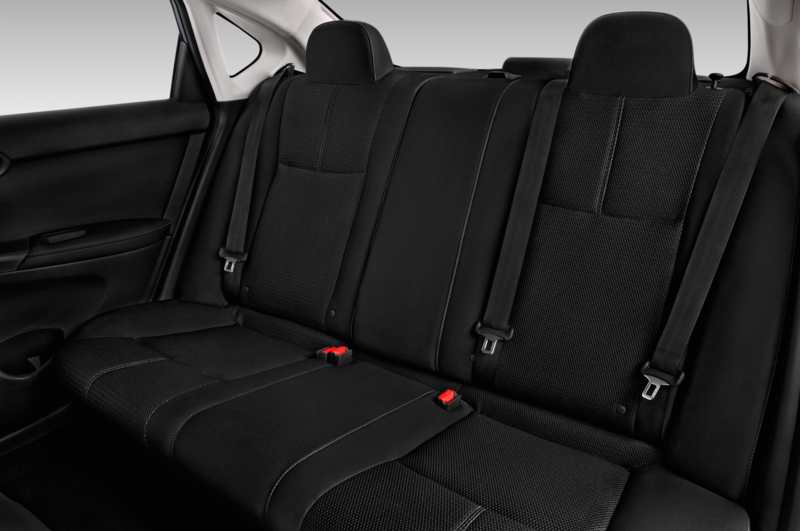 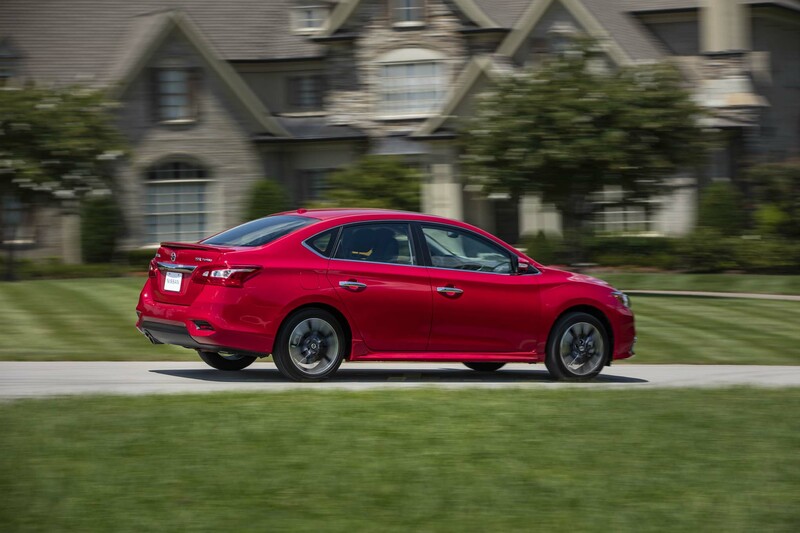 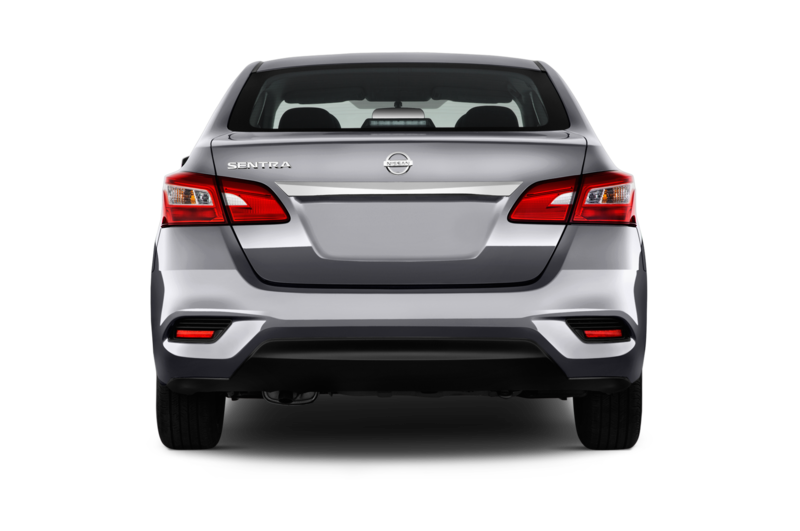 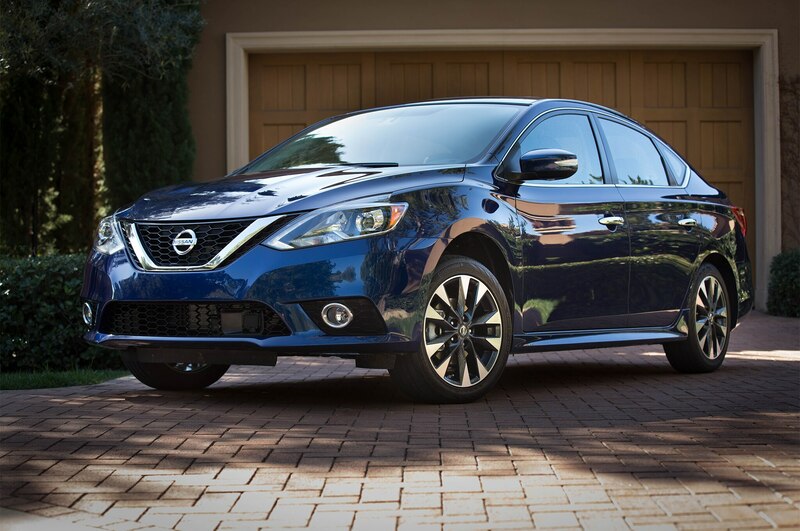 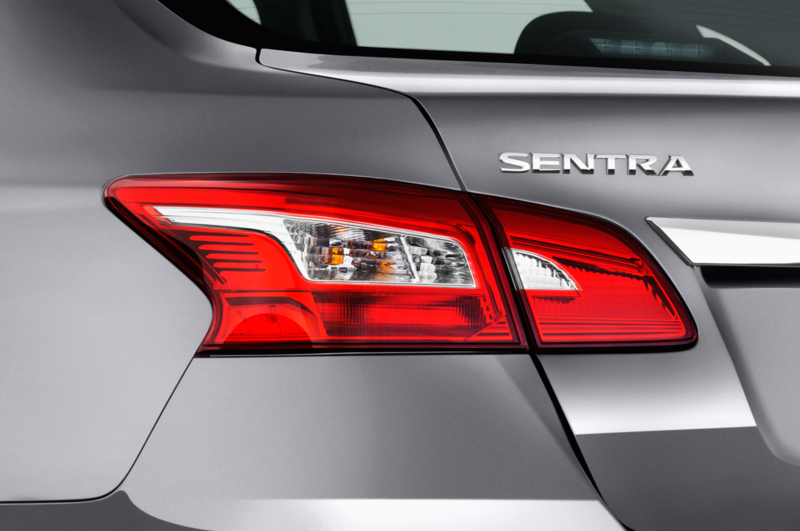 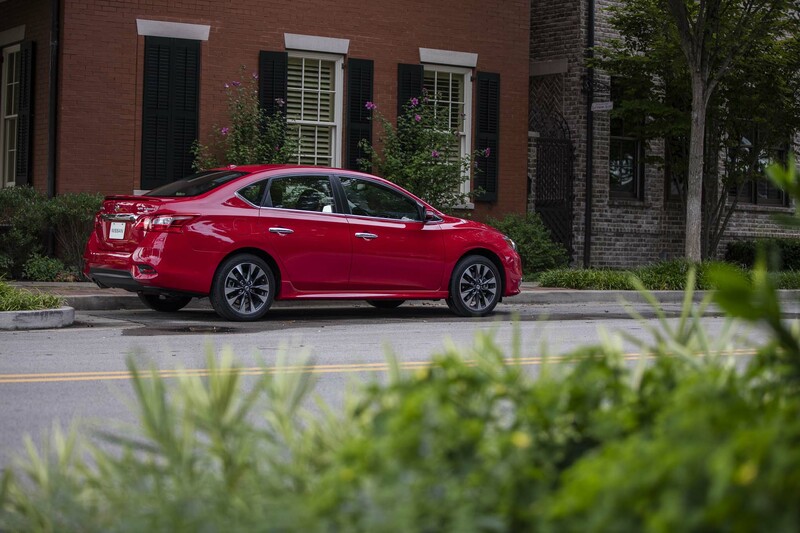 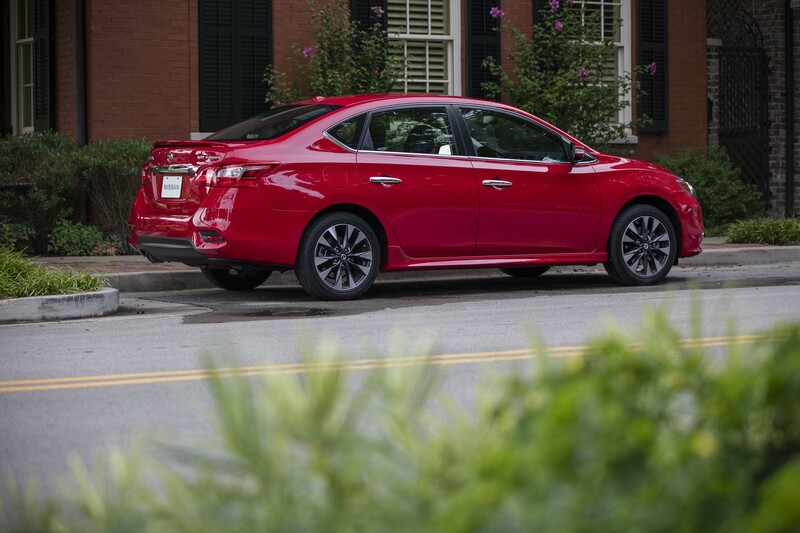 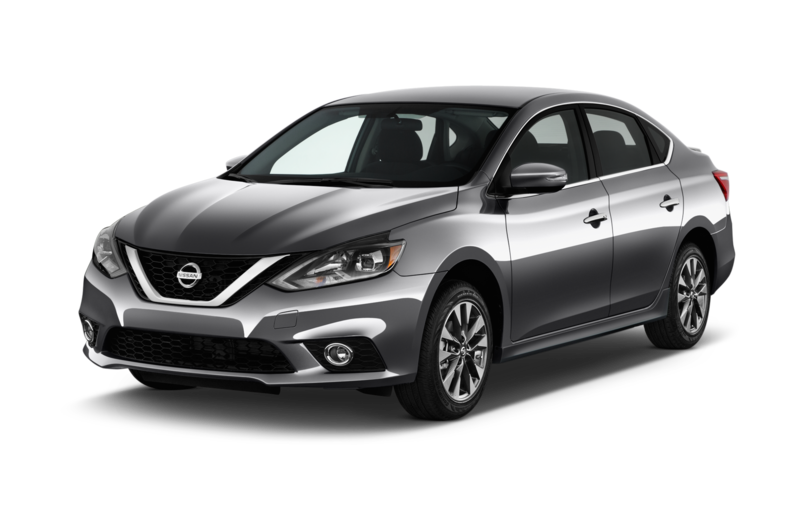 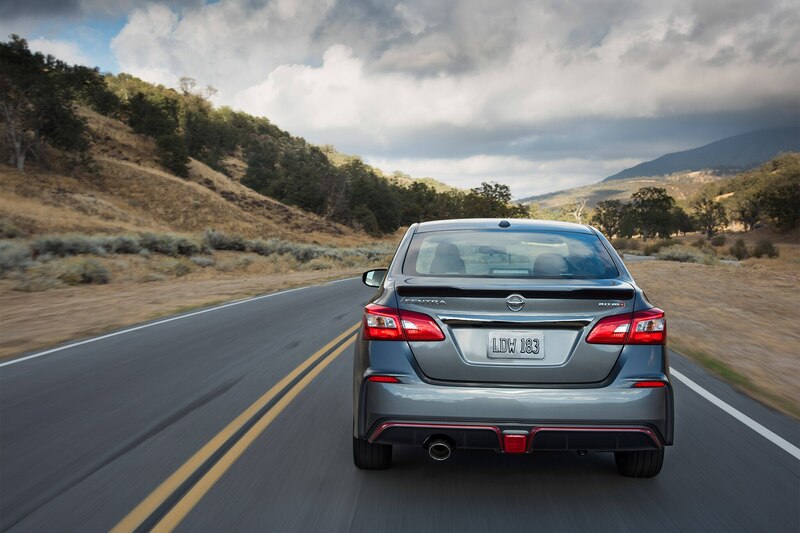 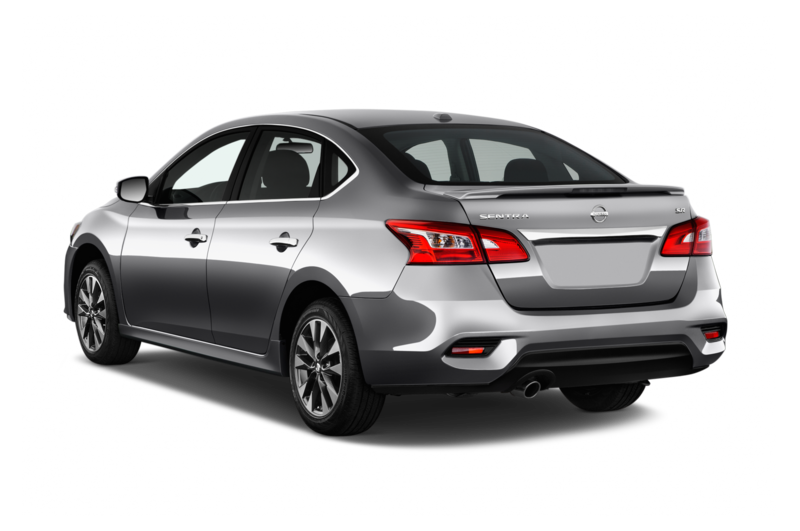 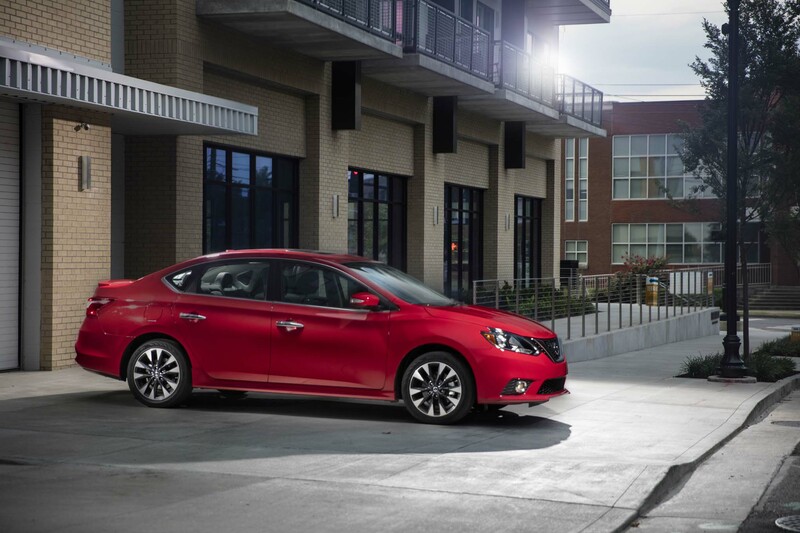 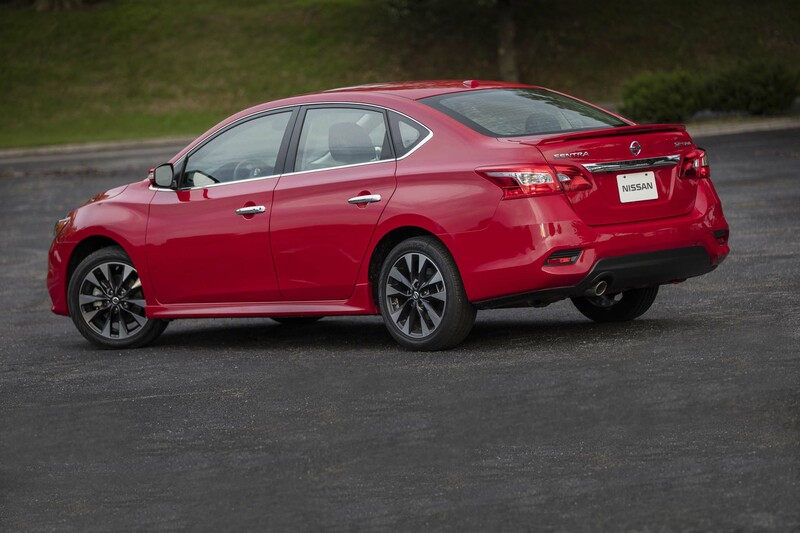 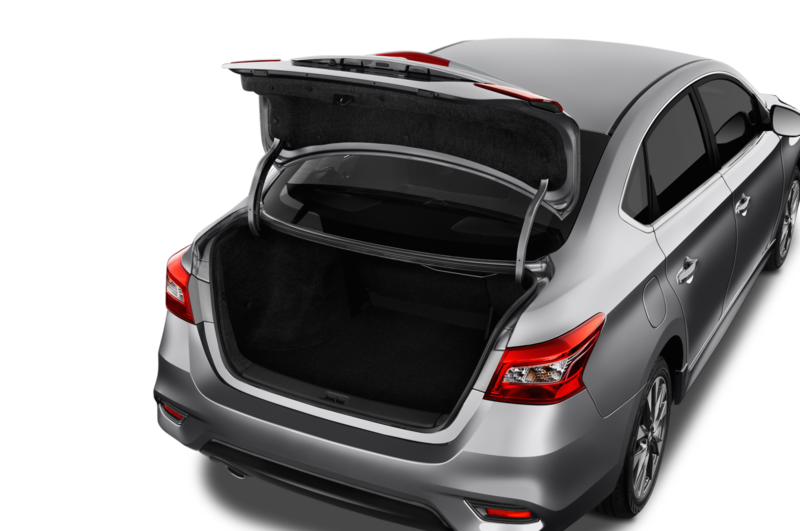 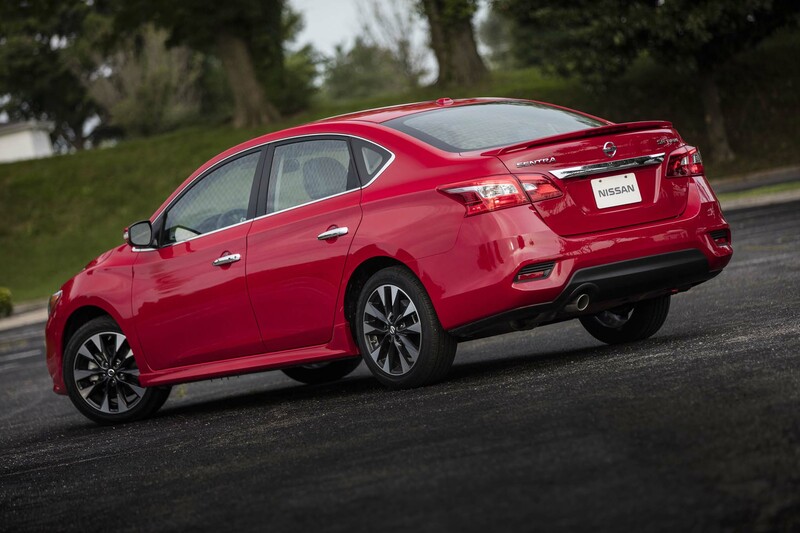 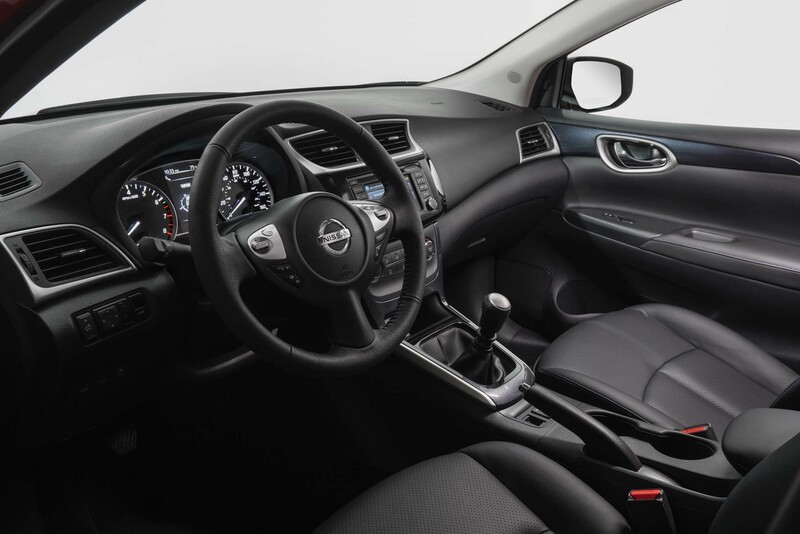 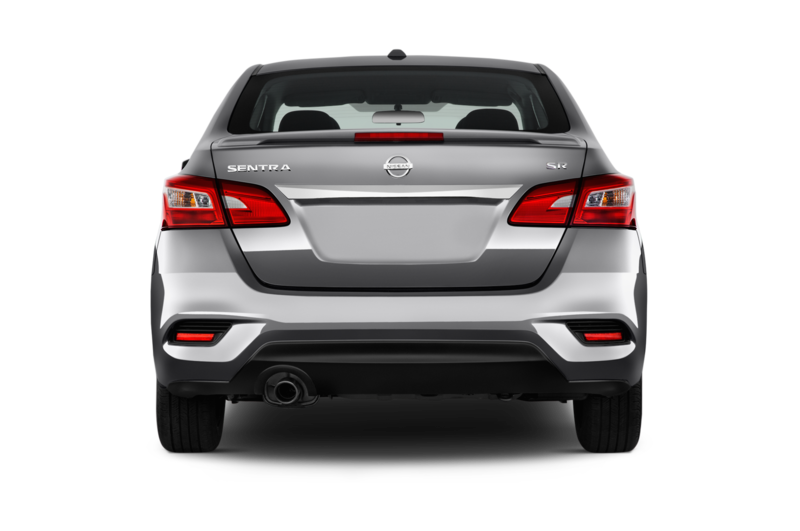 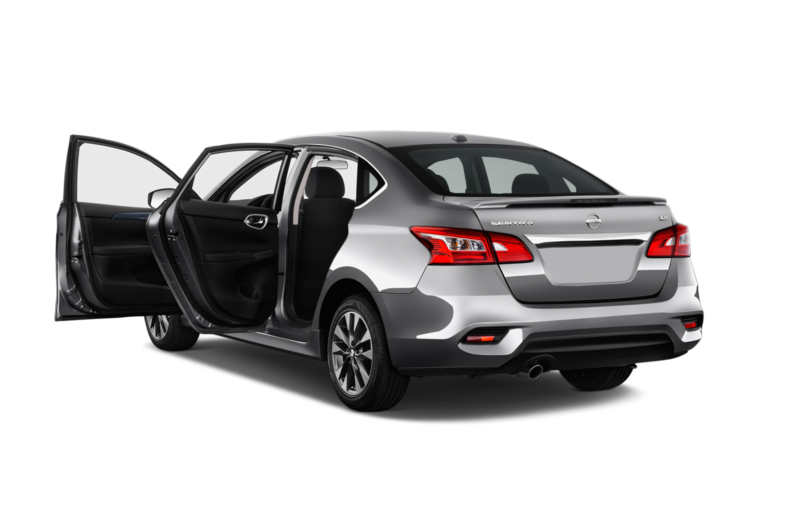 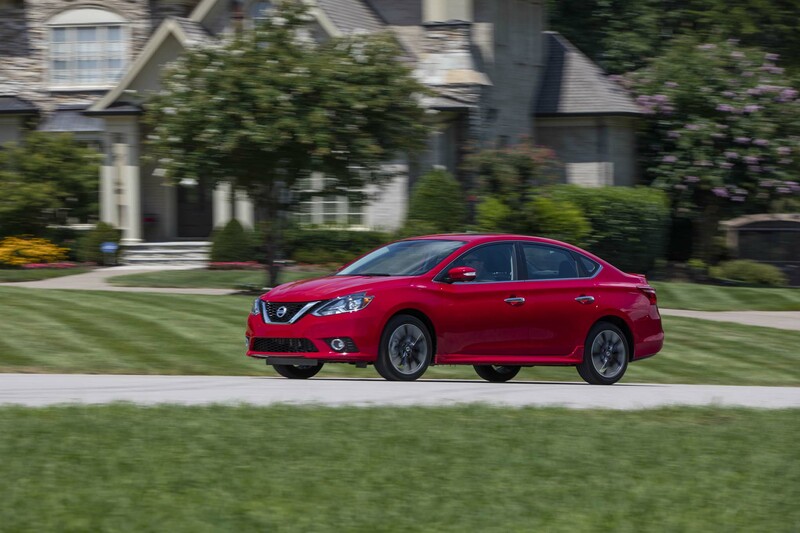 Nissan’s Sentra is an economy car meant for commuters wanting to get from point A to point B. It’s an affordable, somewhat cheerful, and not a bad looking car. 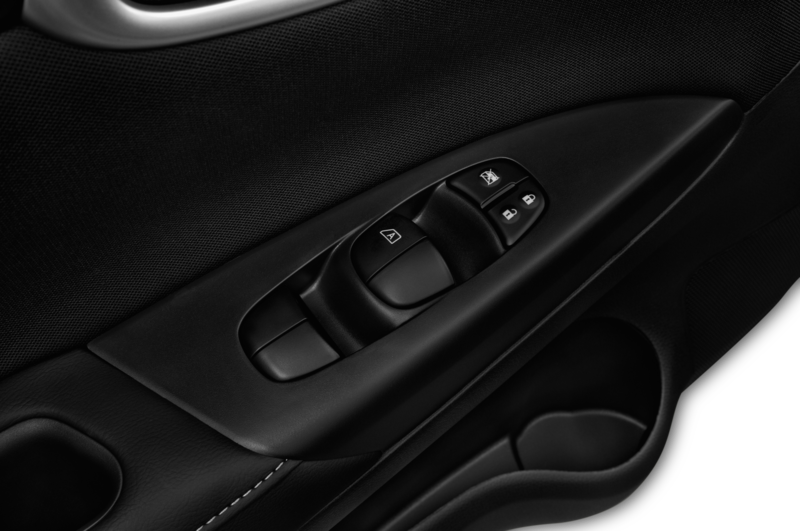 But for those after a little more oomph and raciness, there isn’t a real choice. 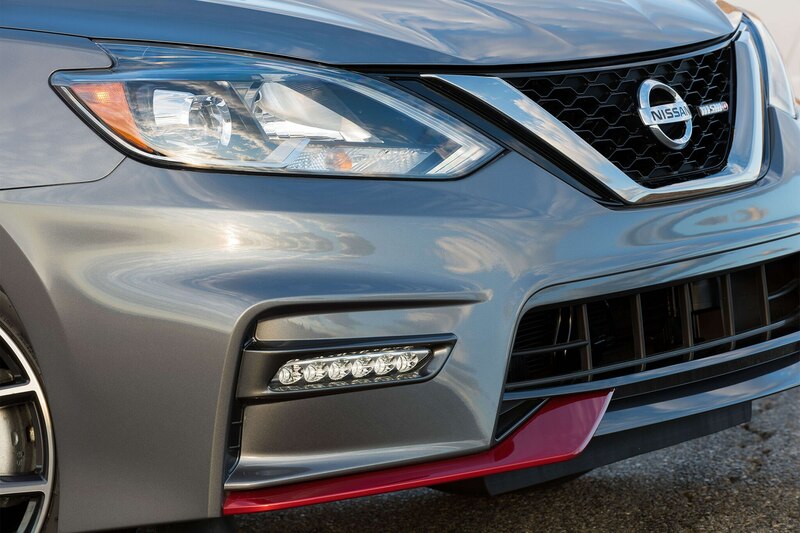 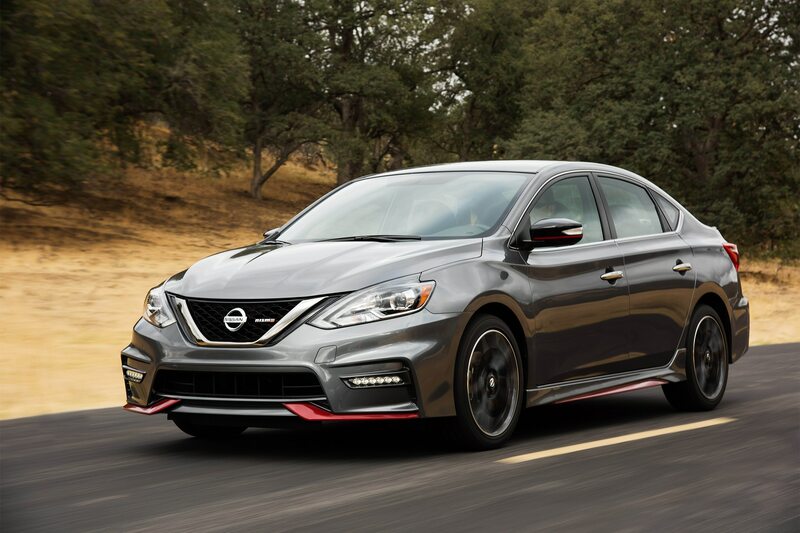 Nissan thinks it has a solution with the Sentra NISMO, a hotter version of one of the company’s most practical offerings. 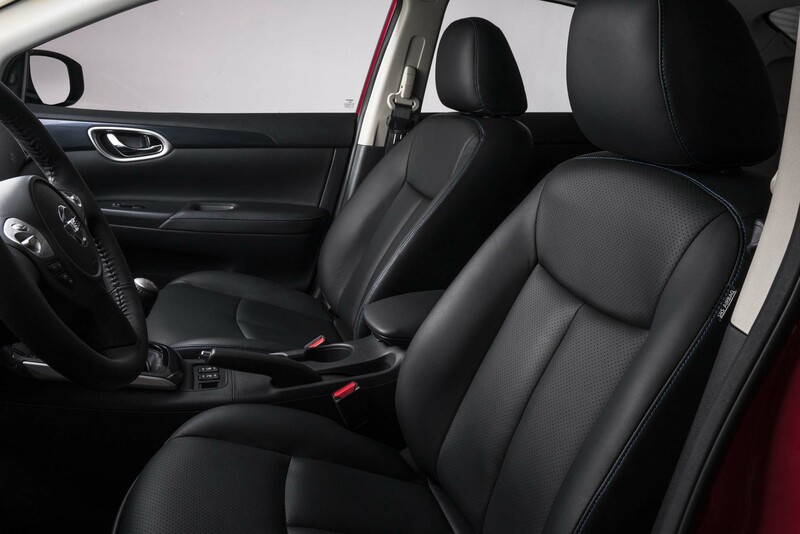 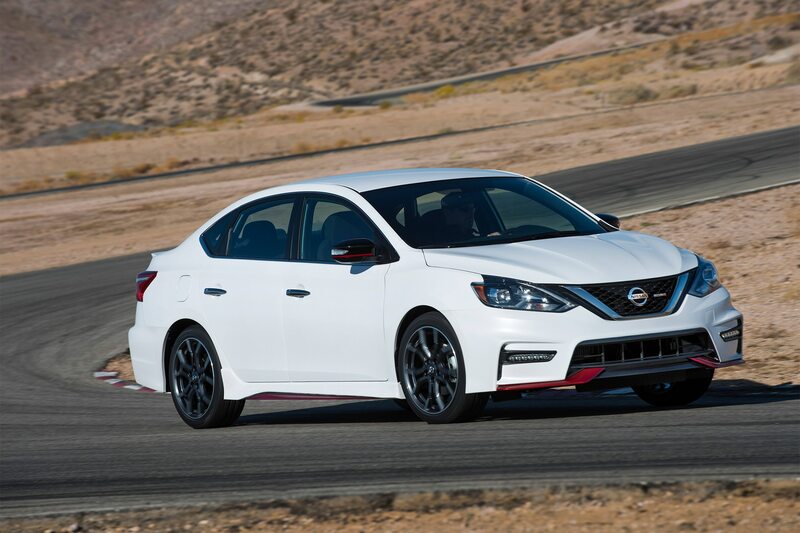 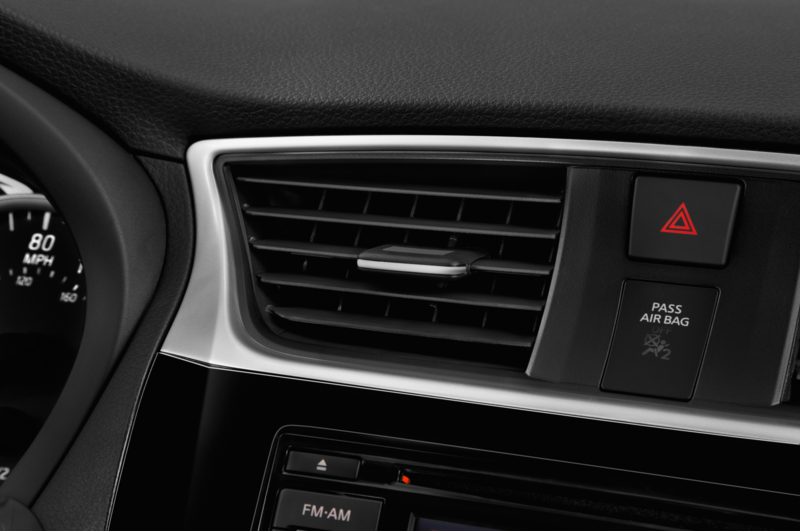 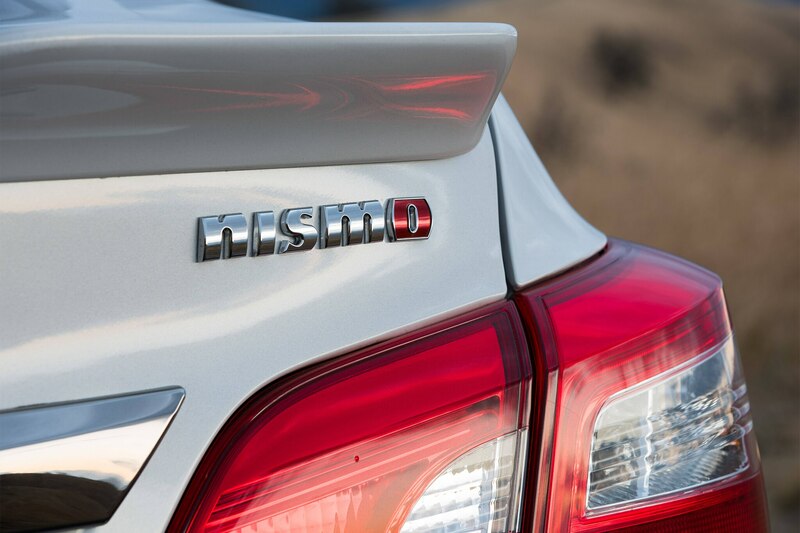 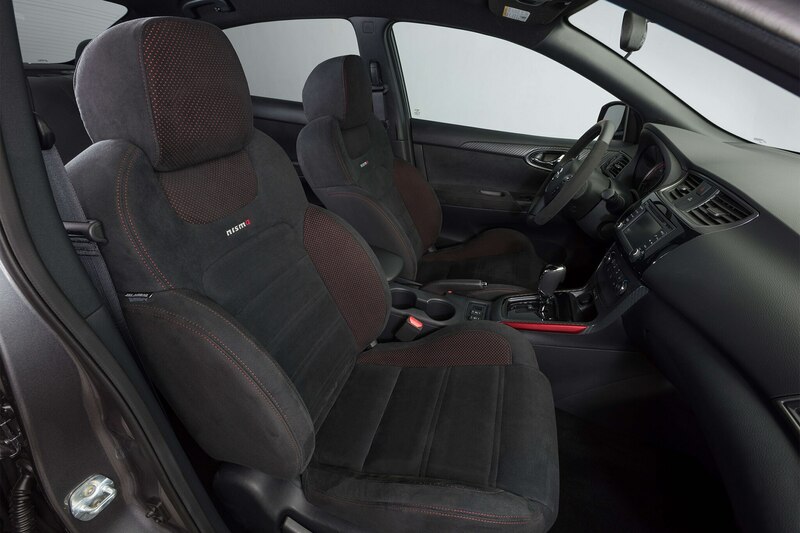 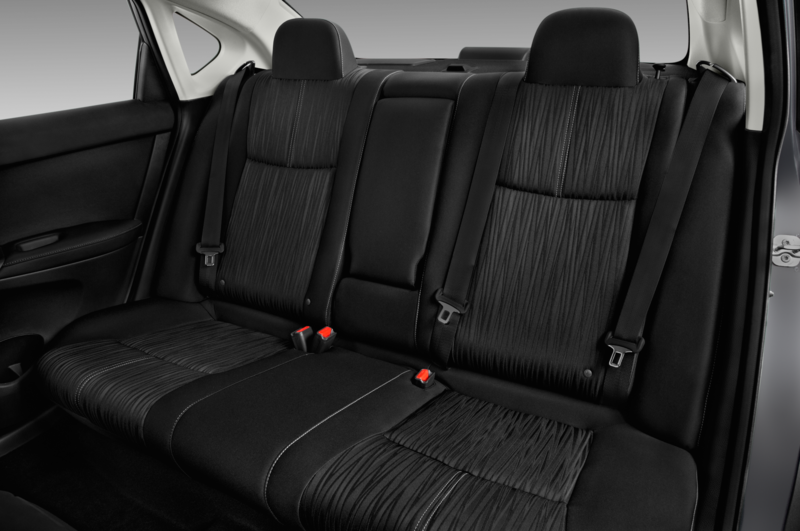 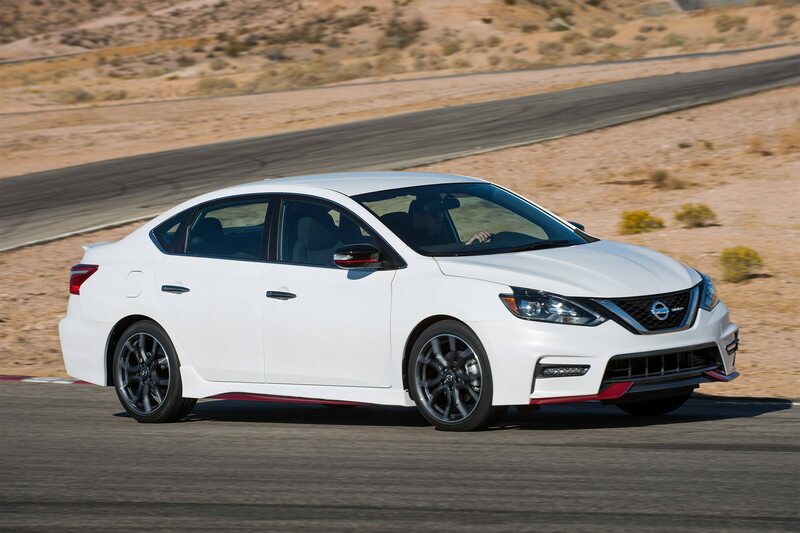 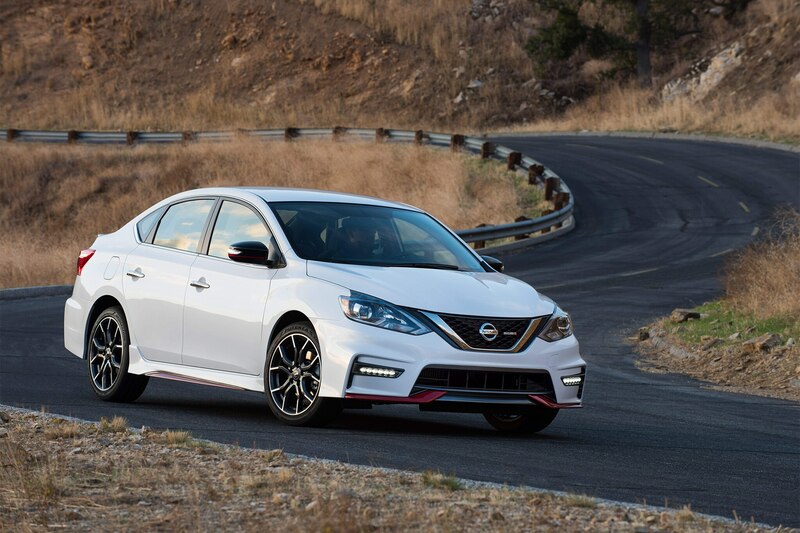 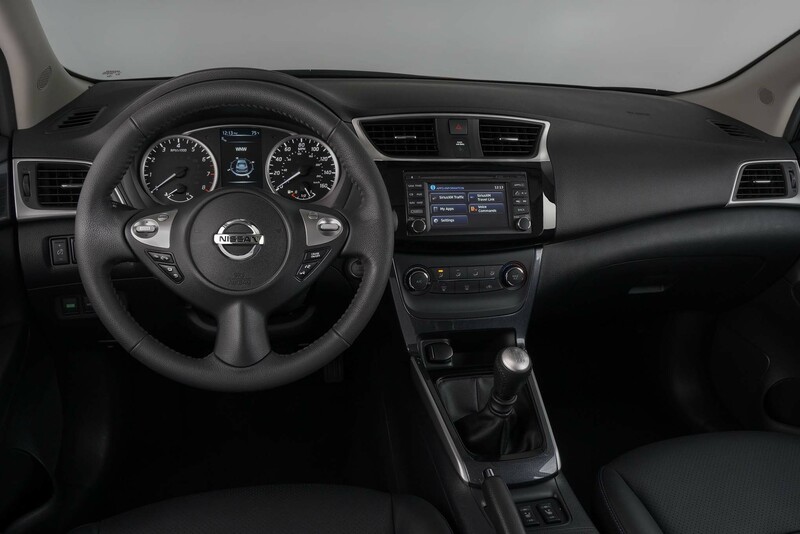 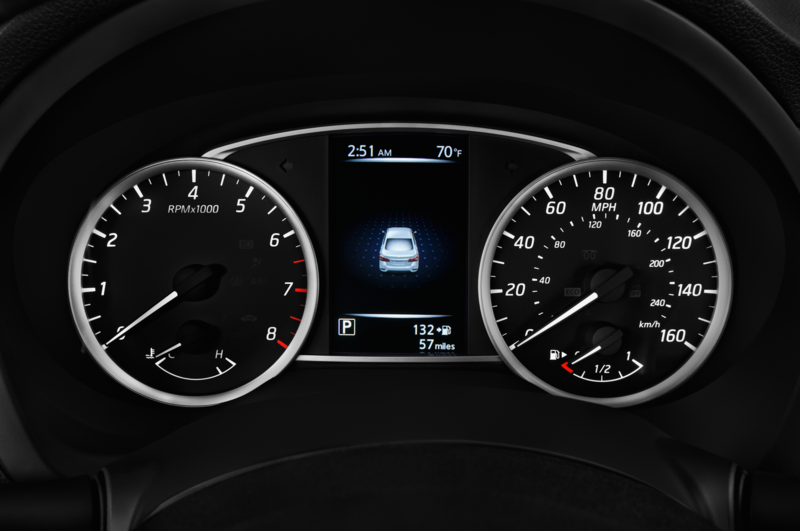 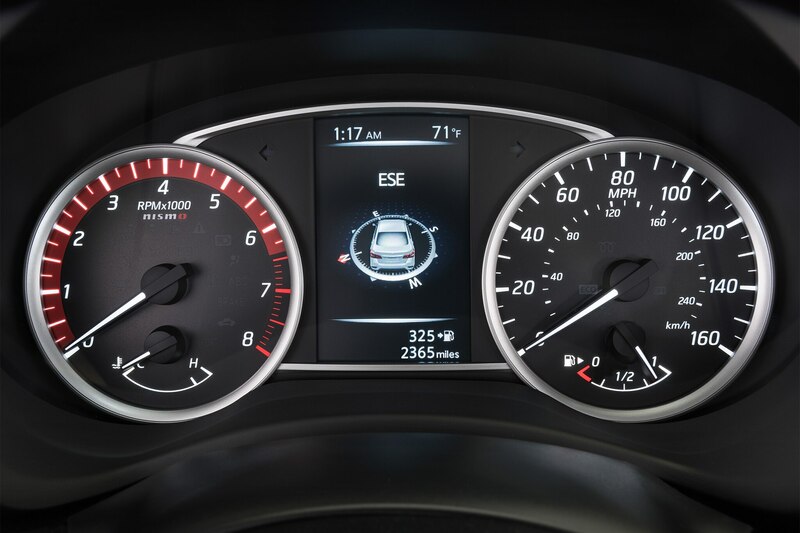 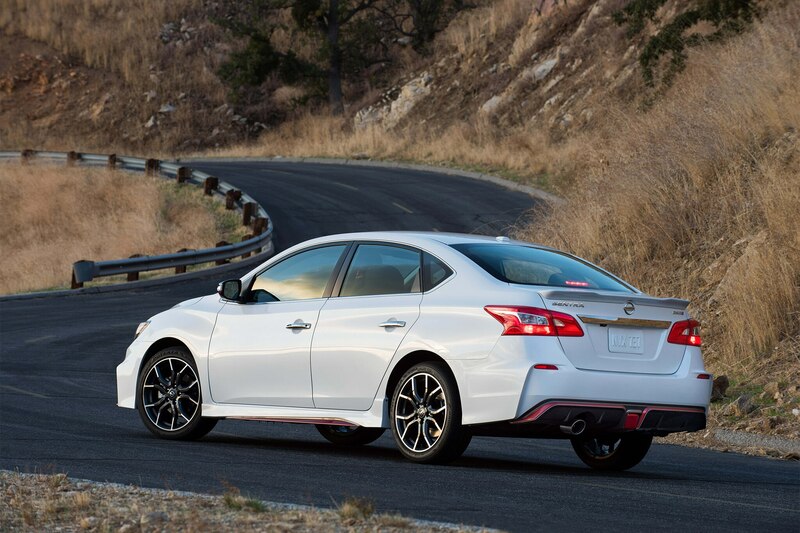 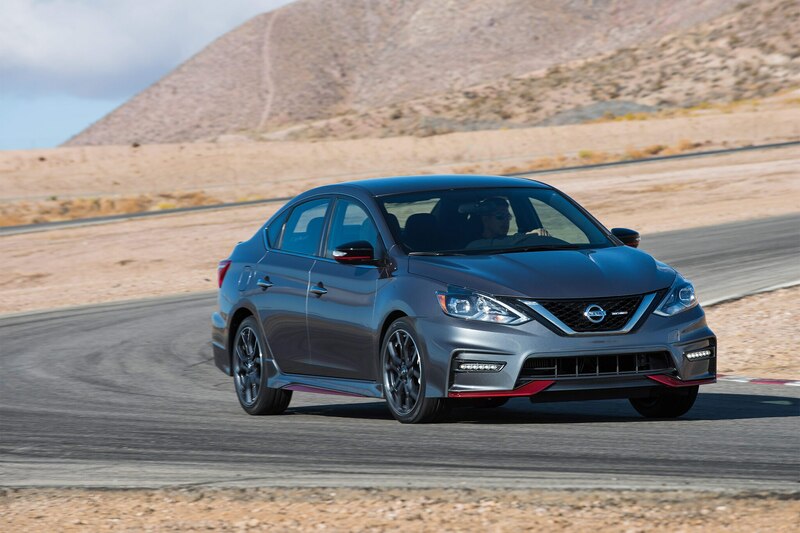 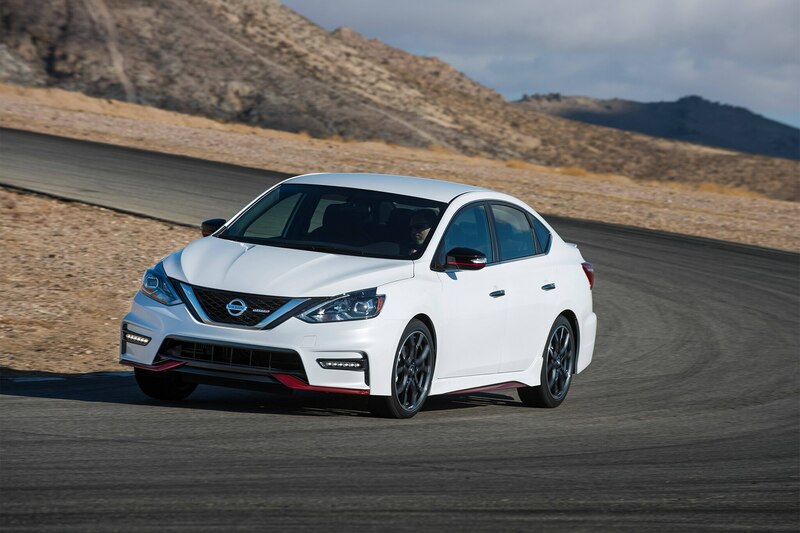 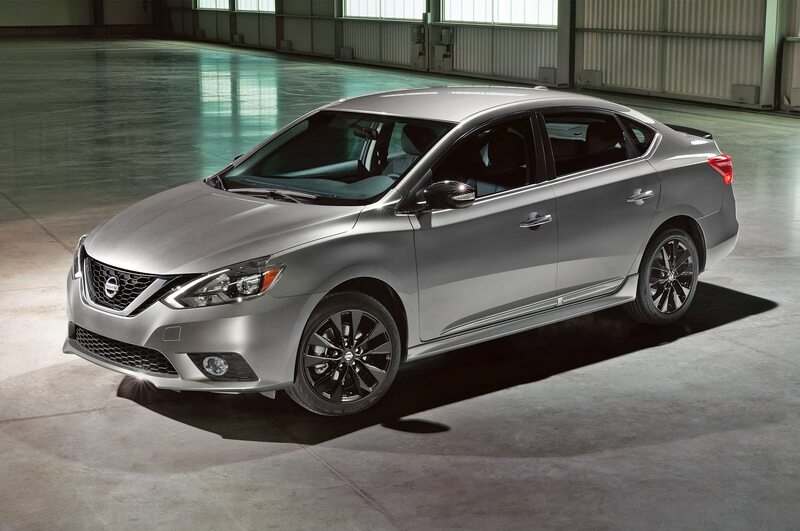 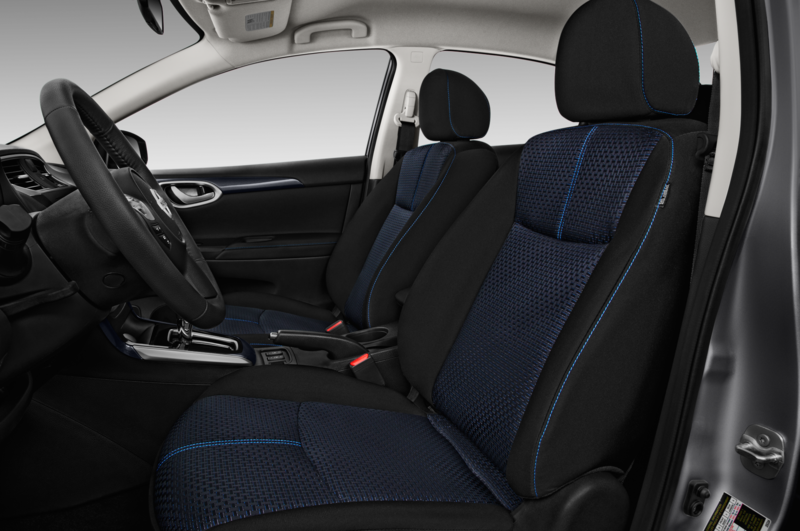 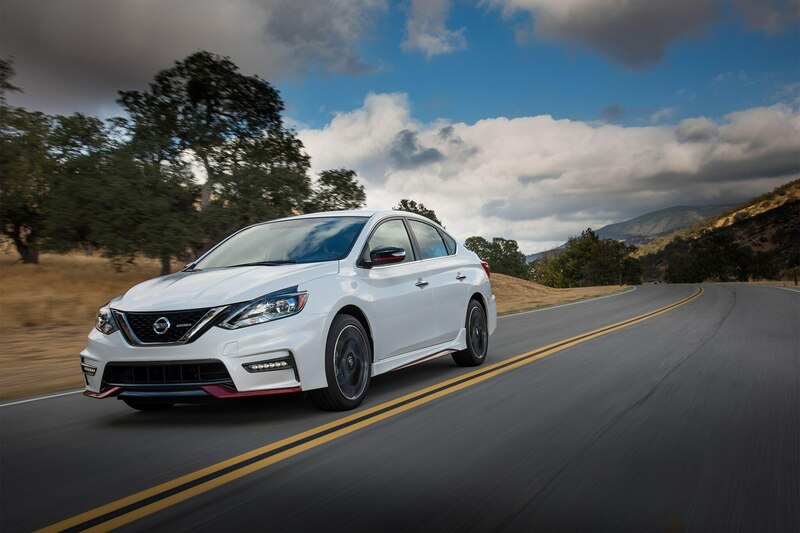 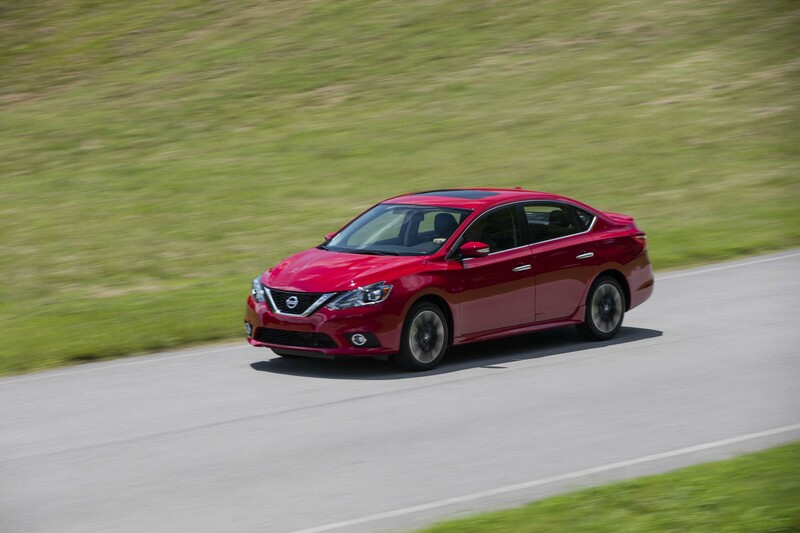 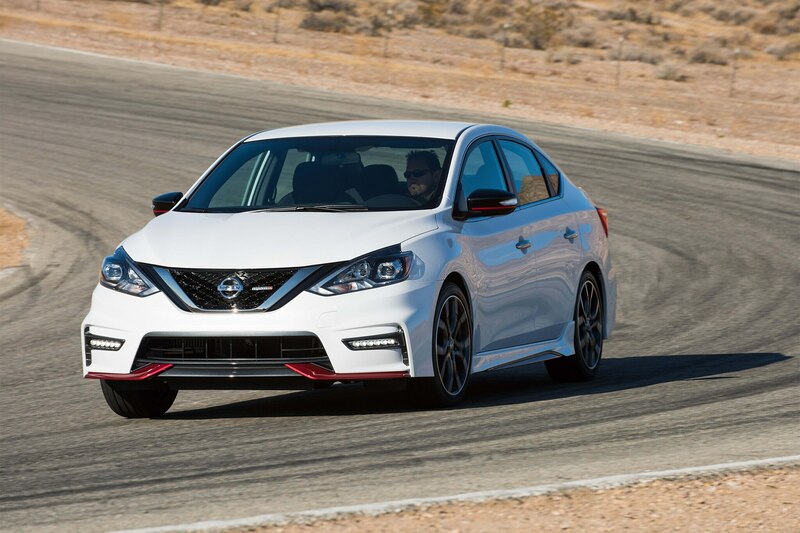 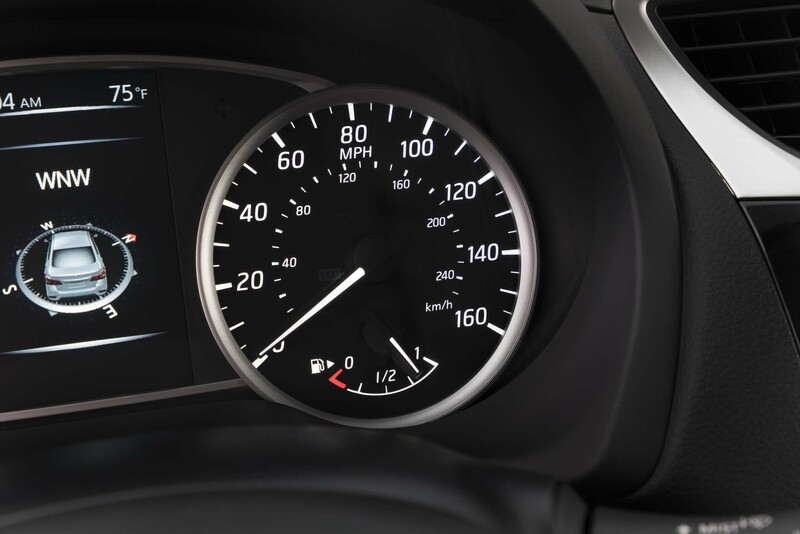 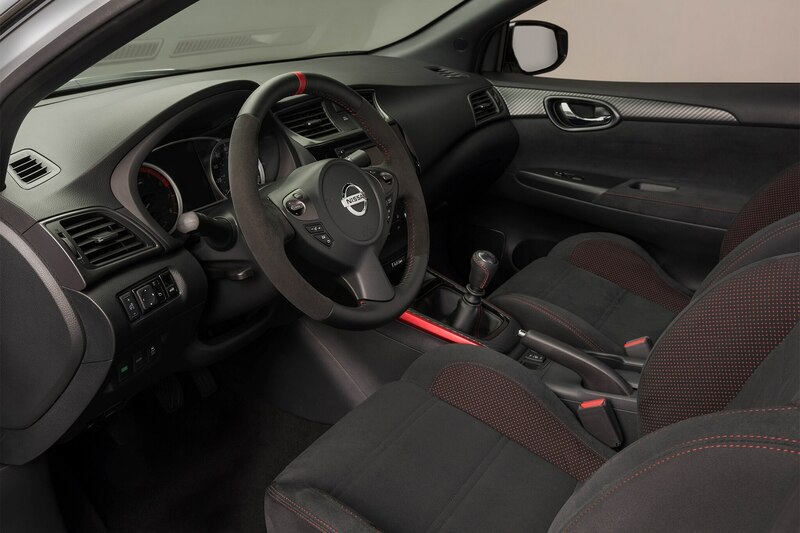 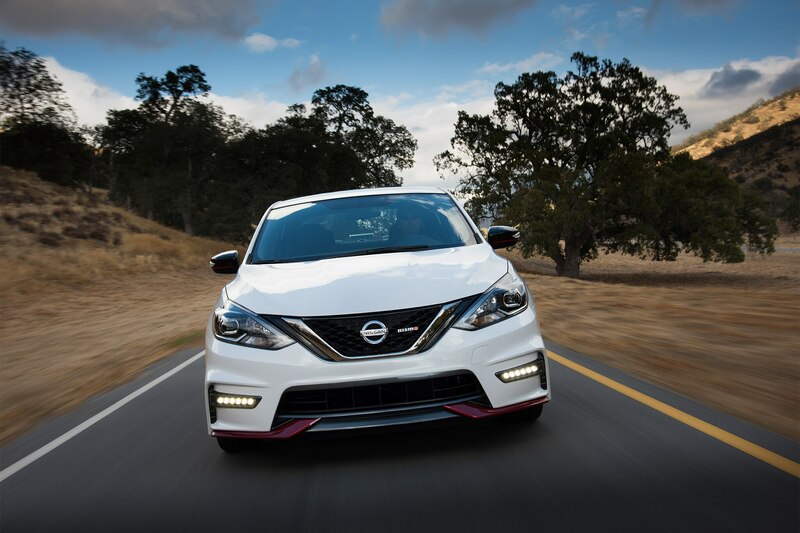 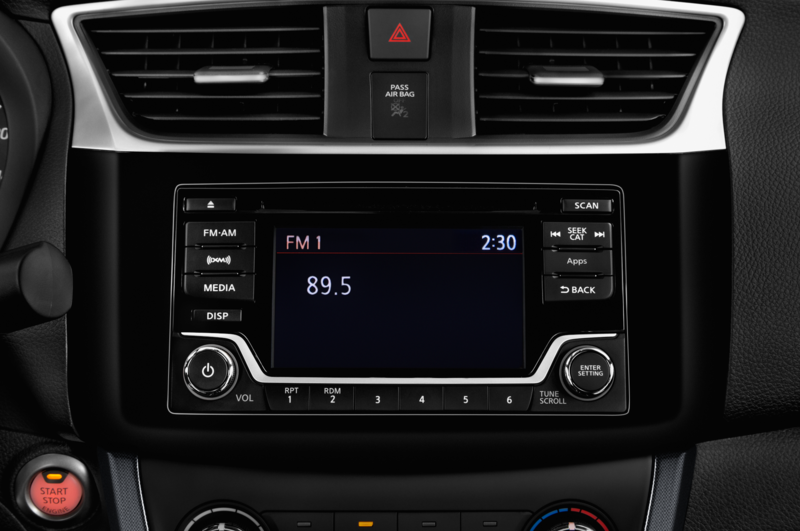 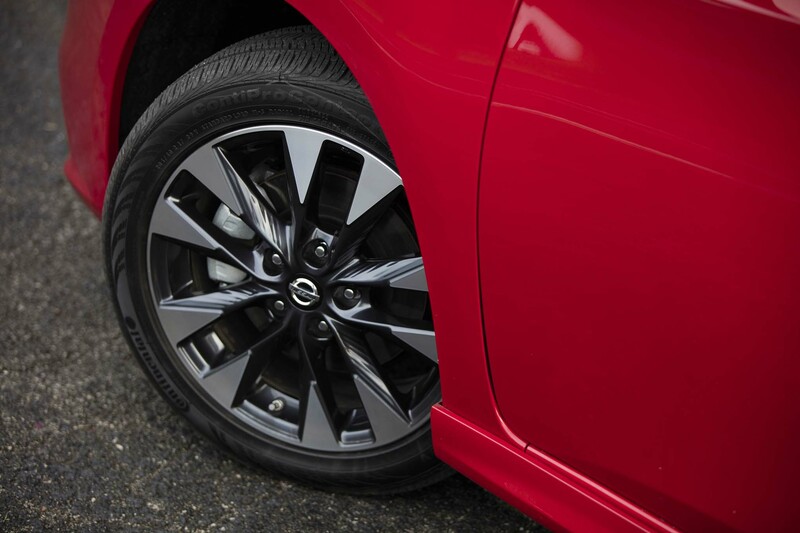 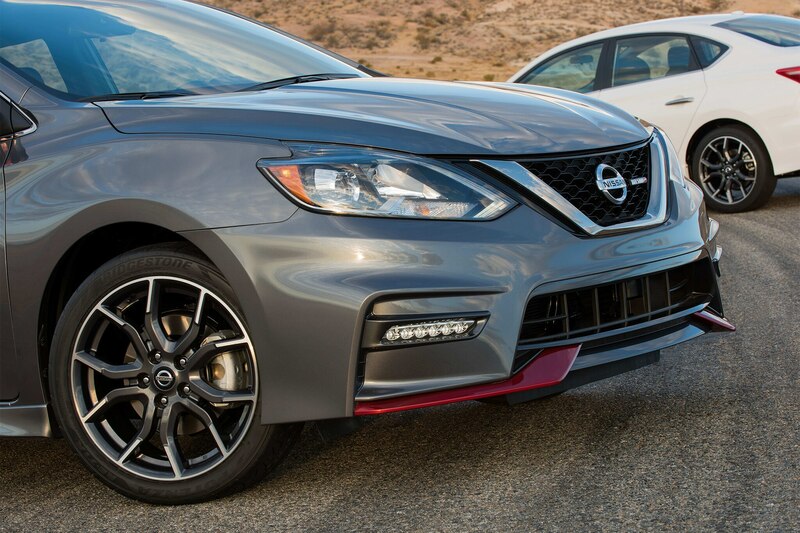 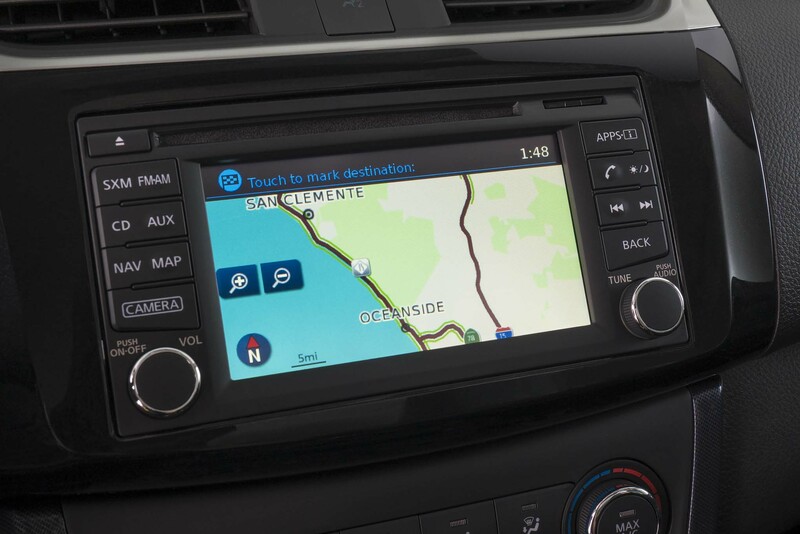 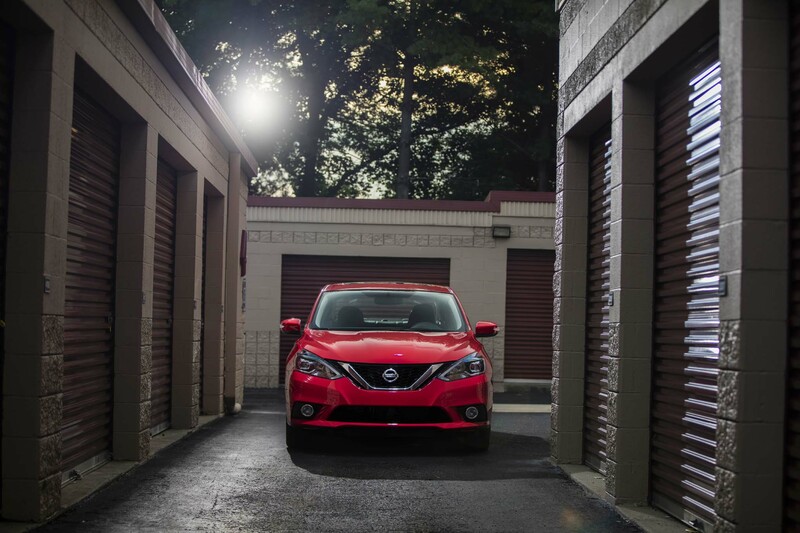 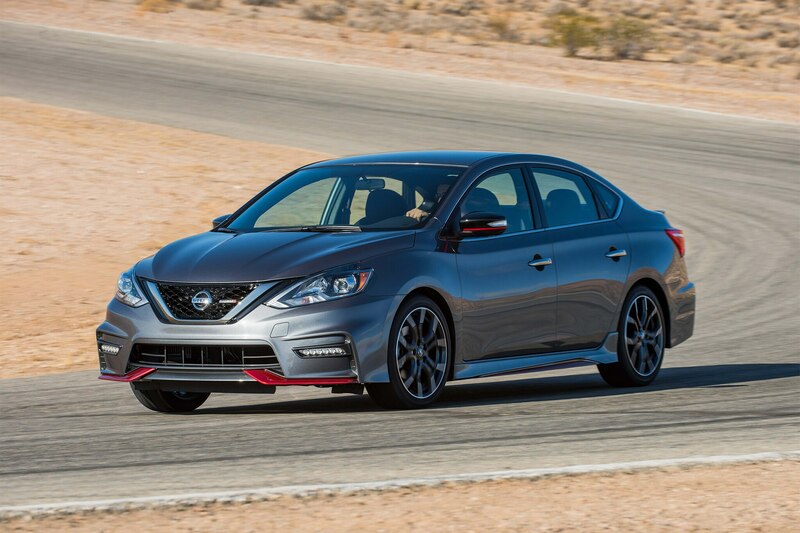 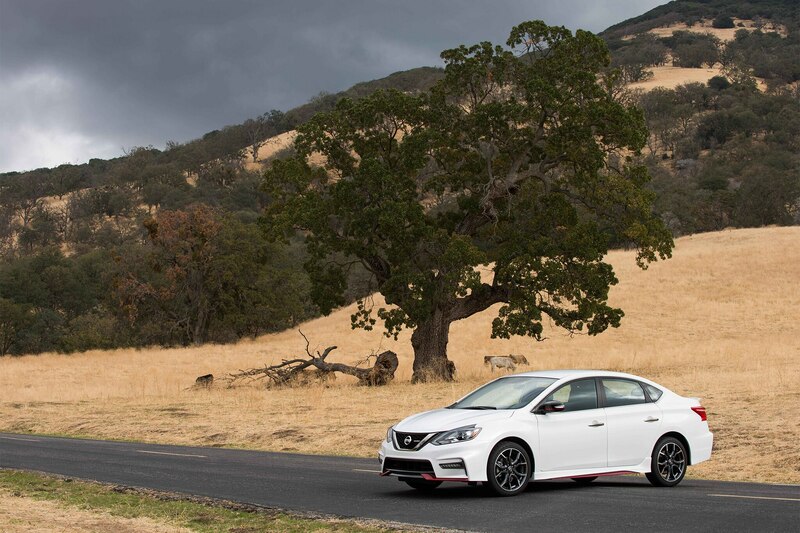 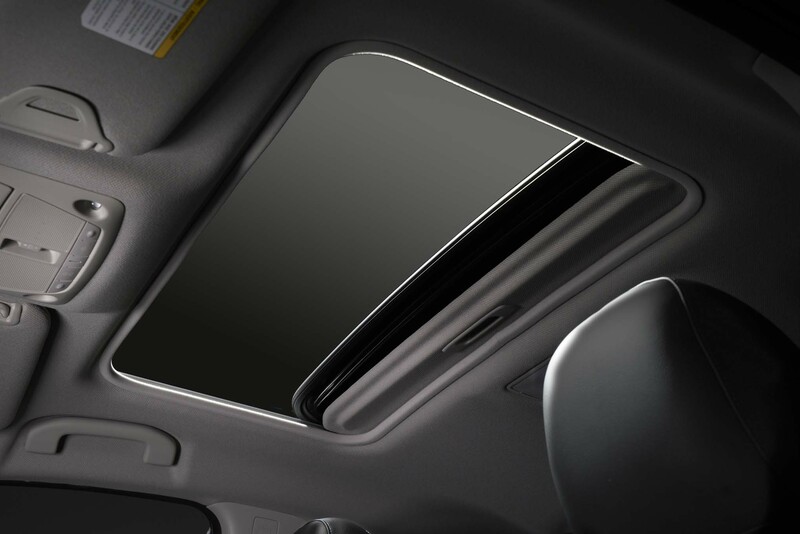 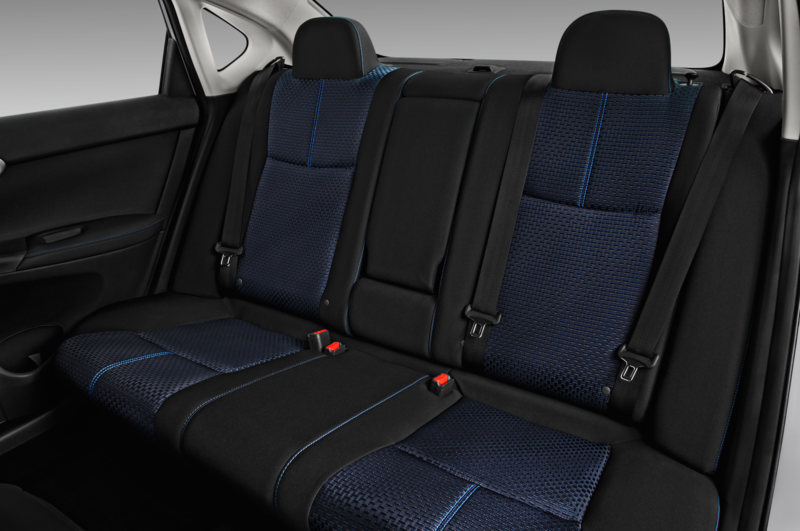 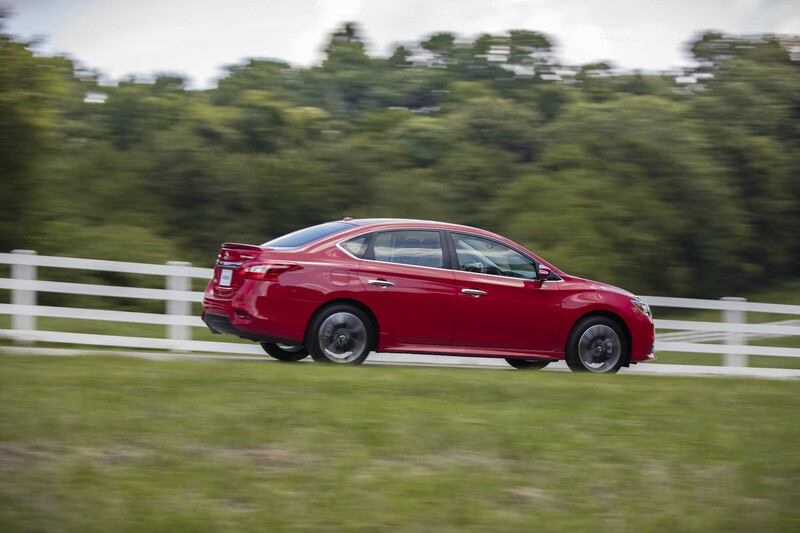 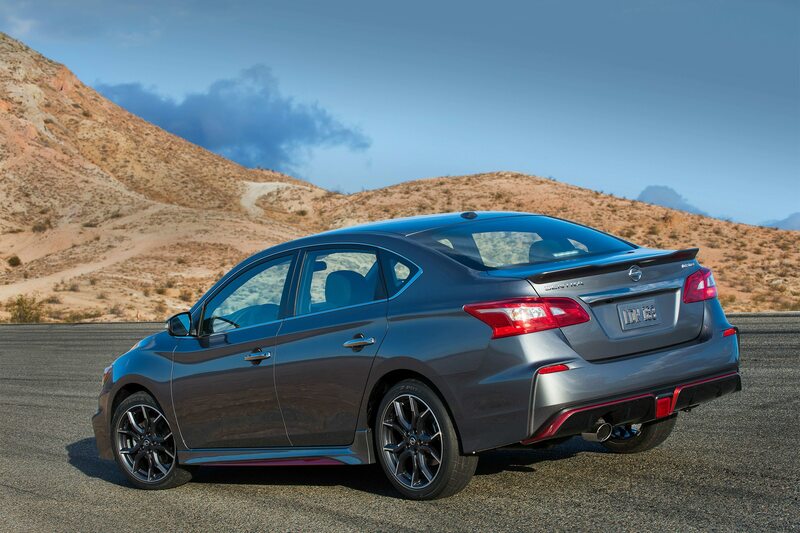 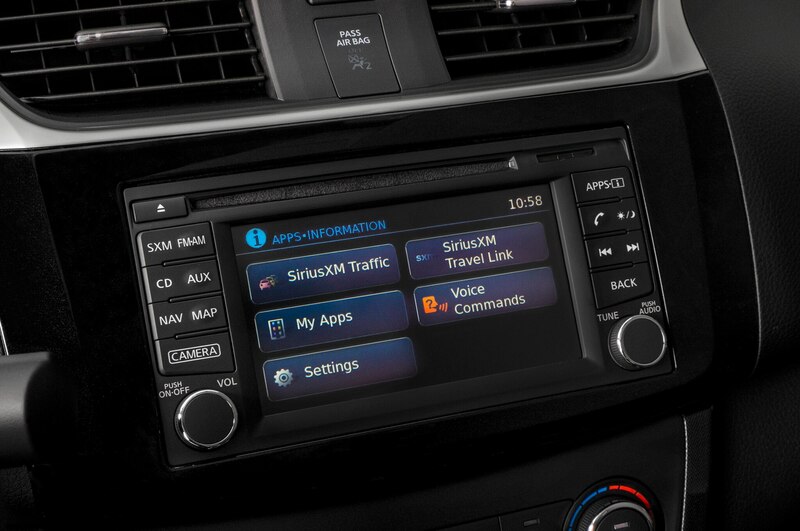 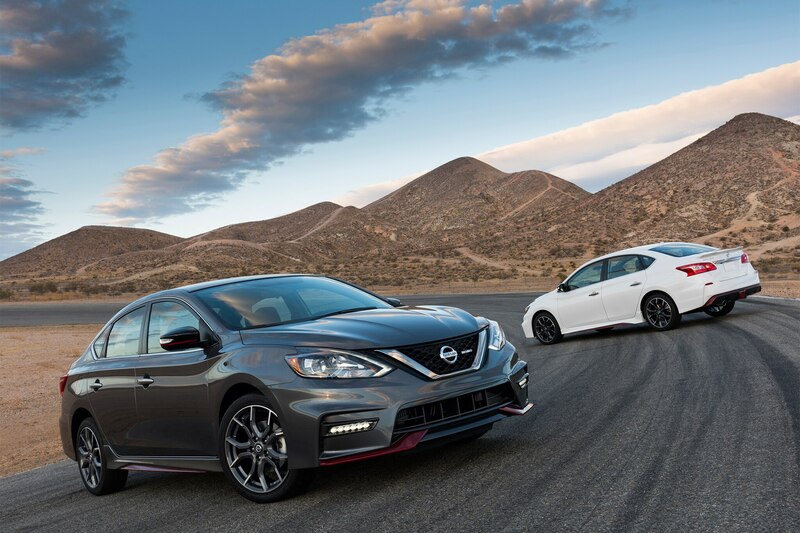 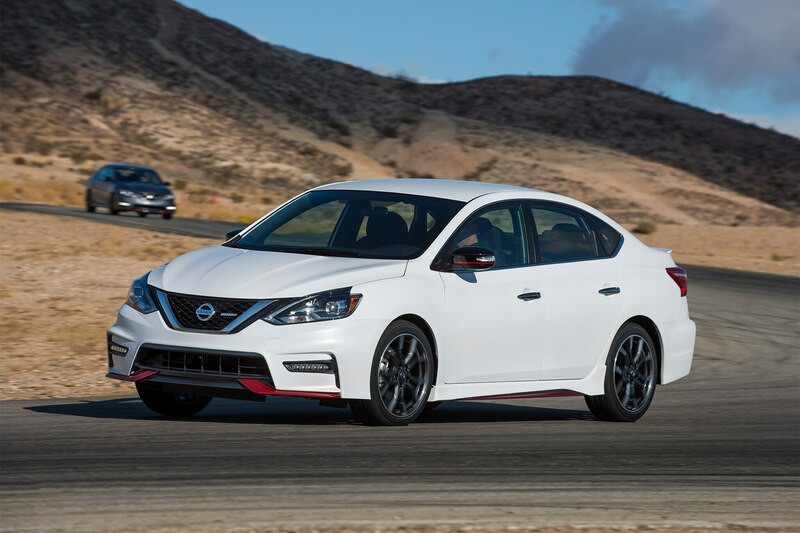 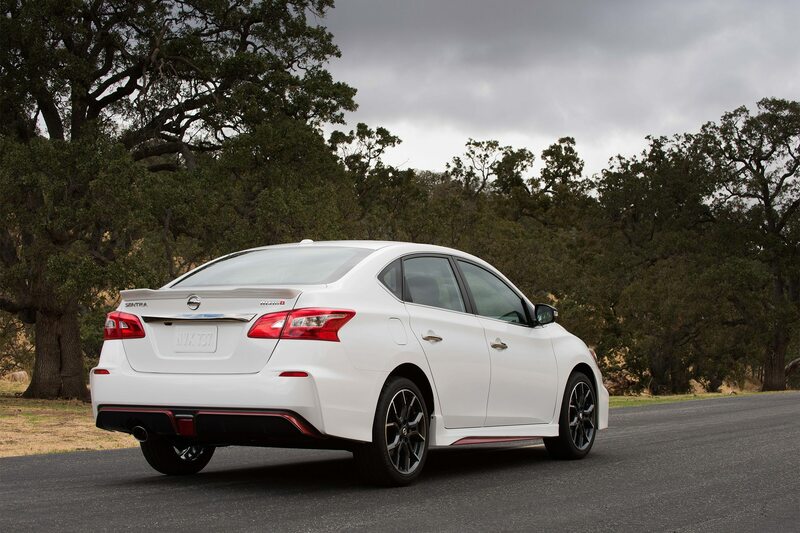 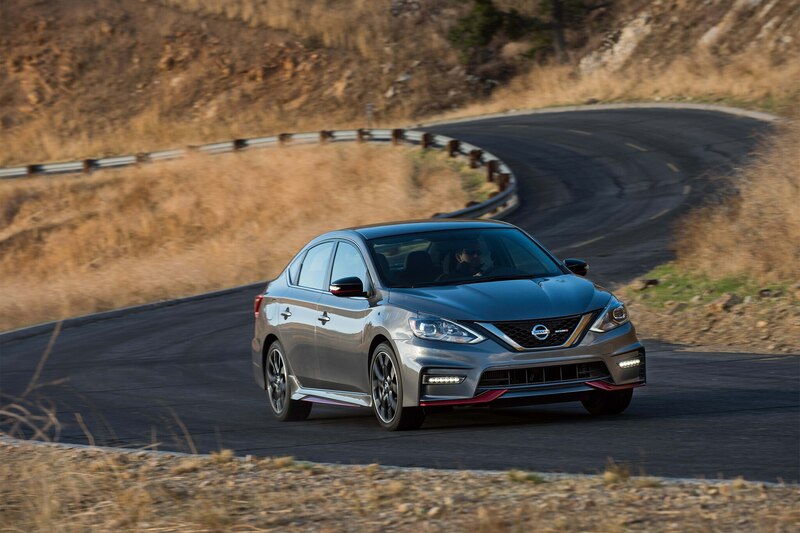 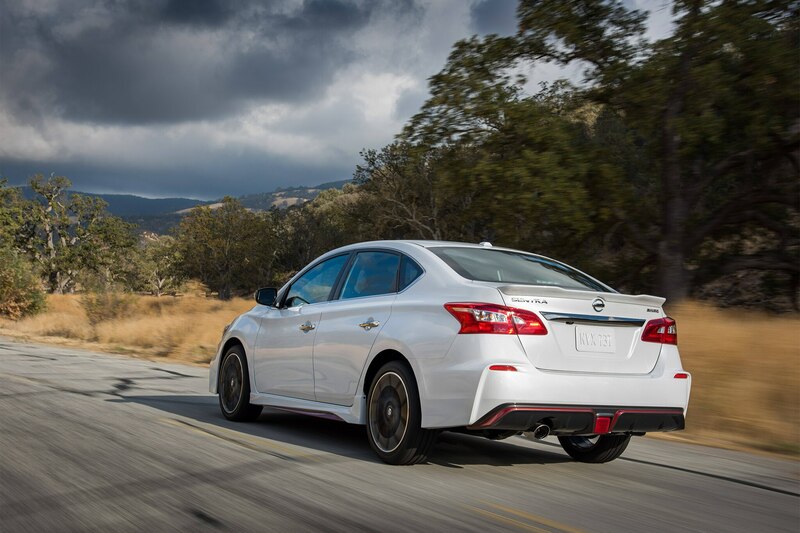 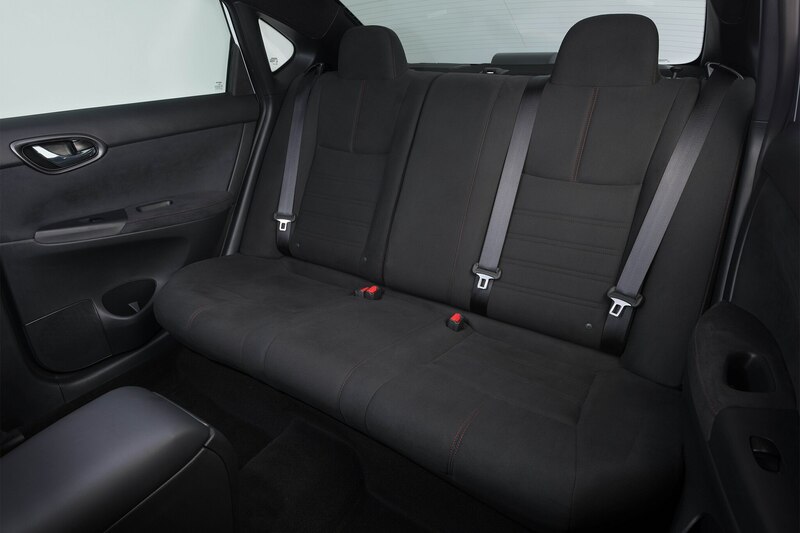 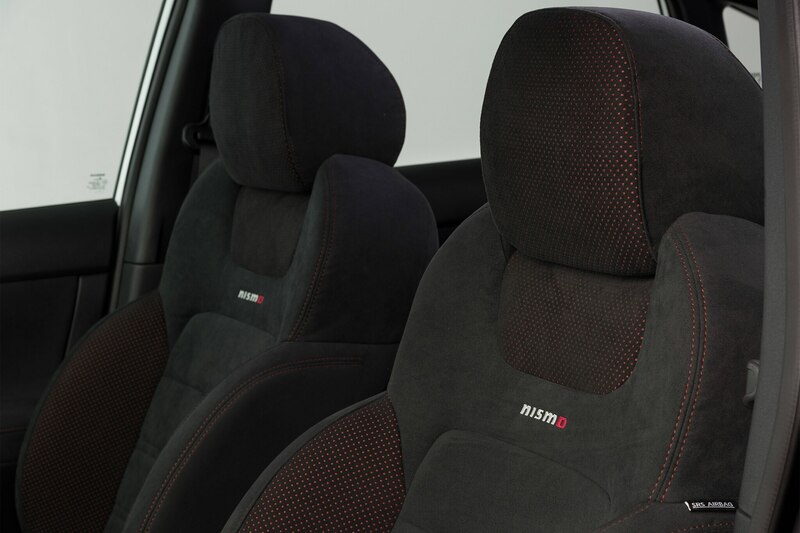 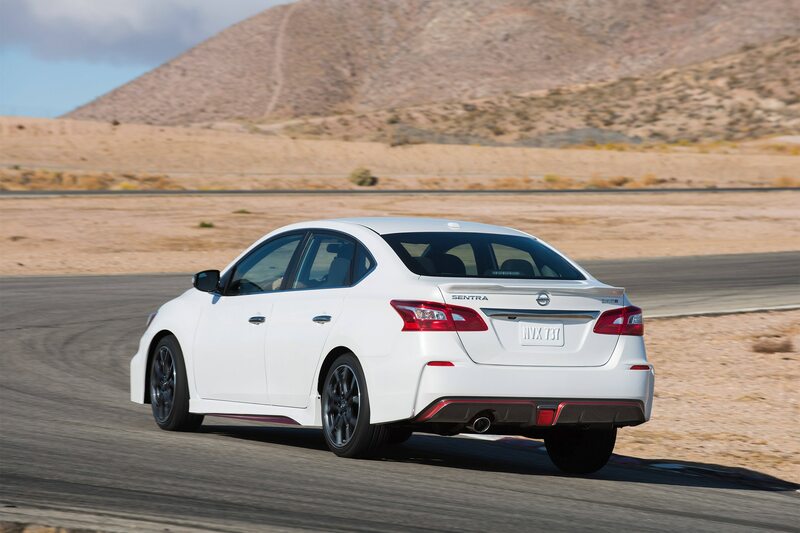 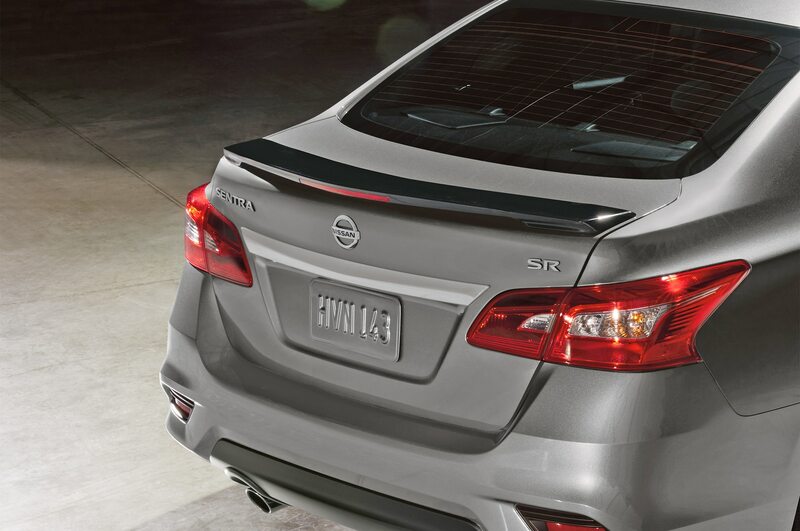 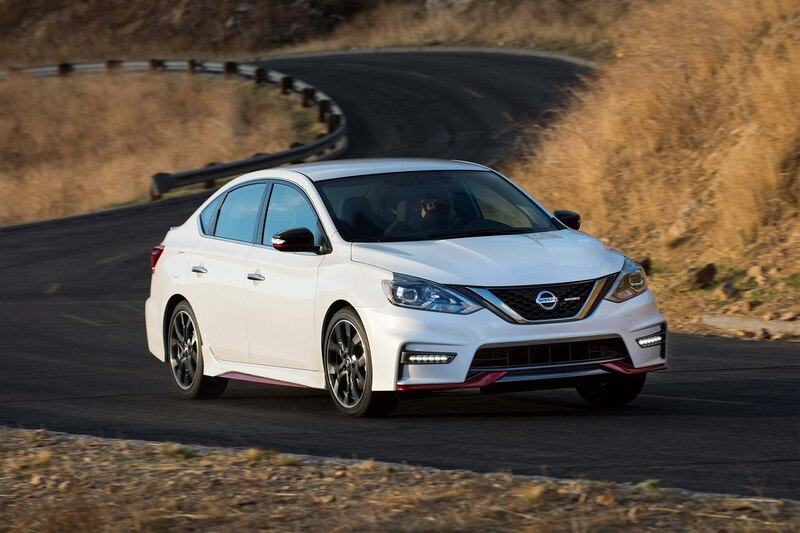 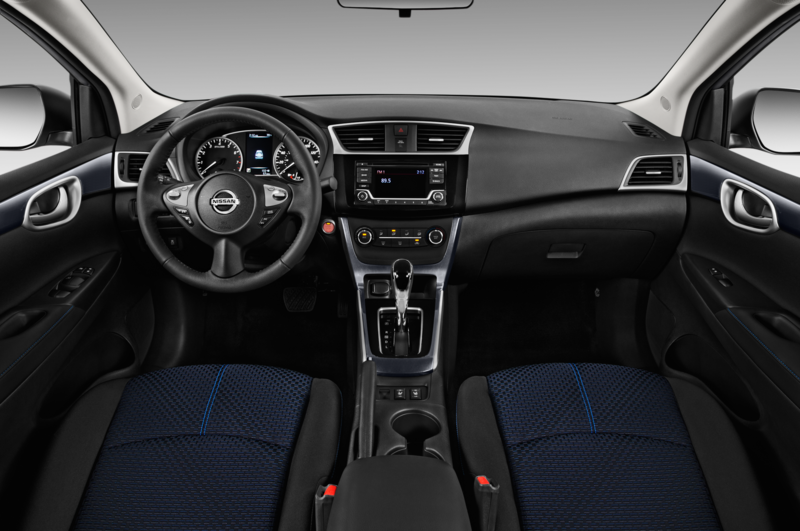 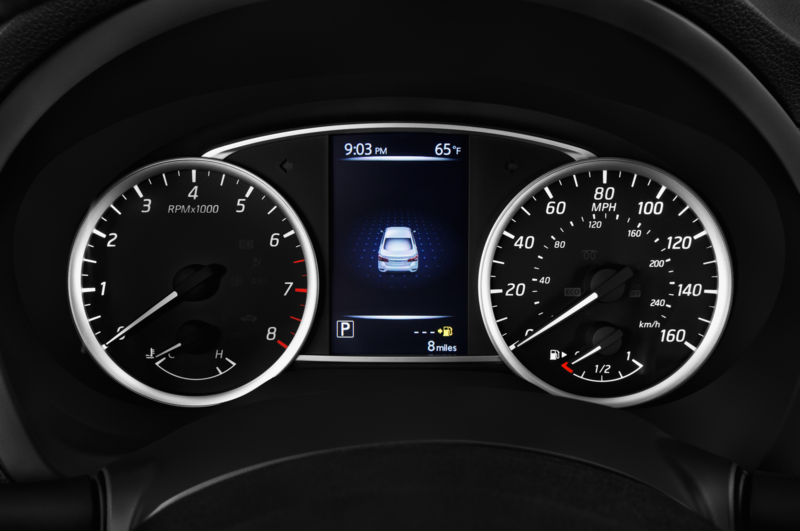 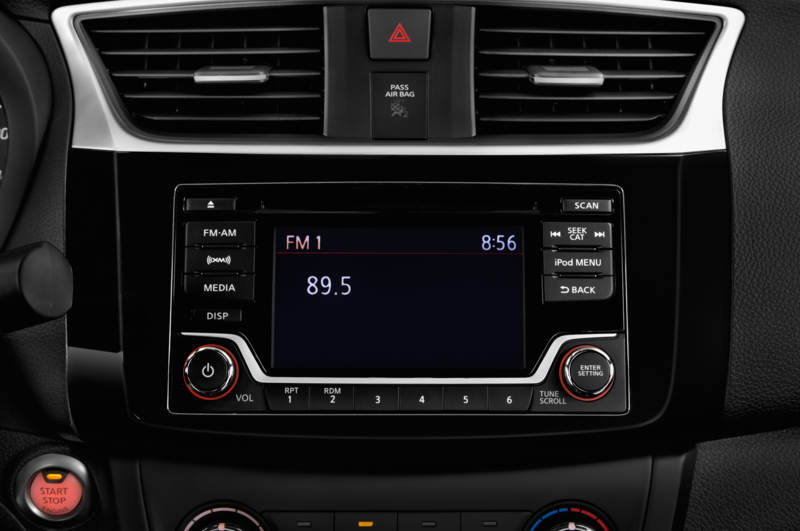 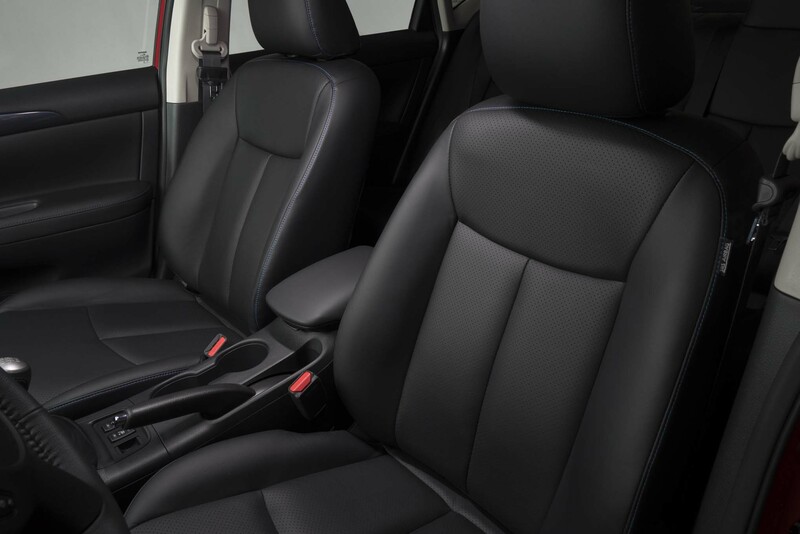 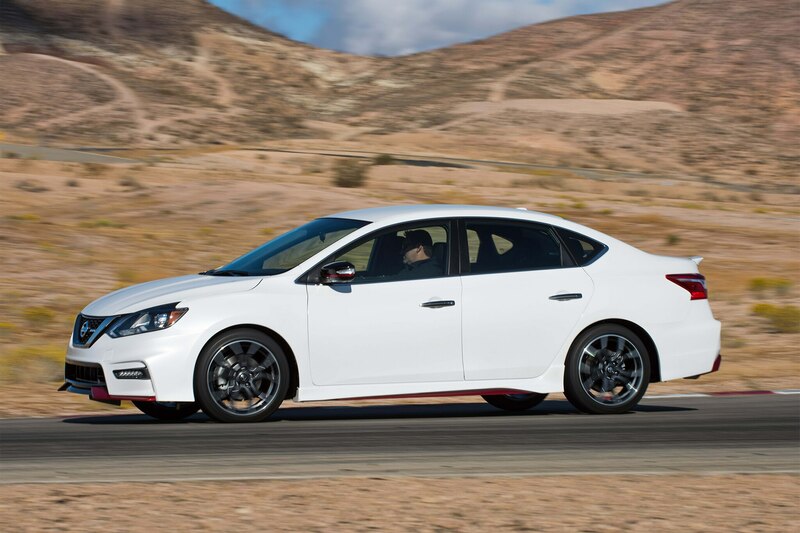 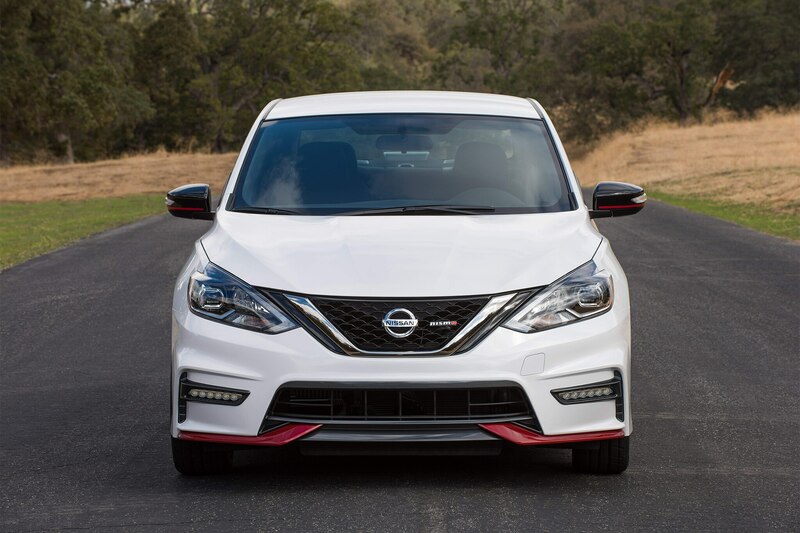 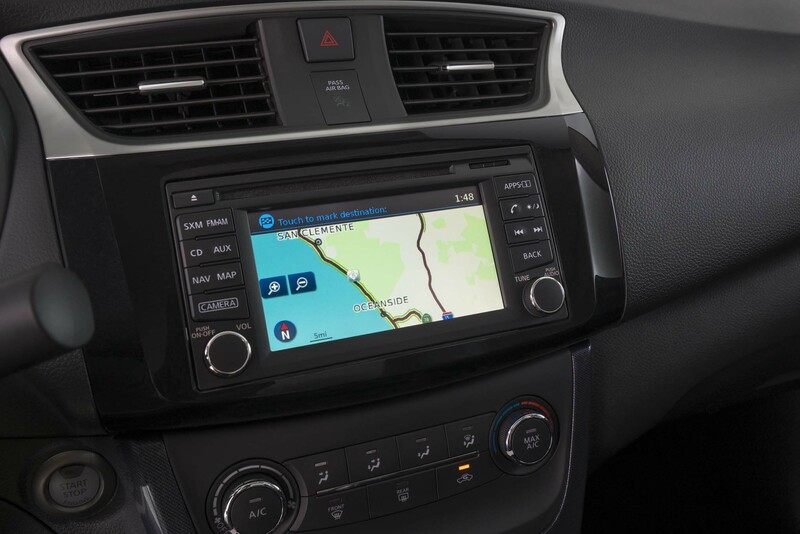 The 2017 Nissan Sentra NISMO is a first for the compact car and offers “motorsports-inspired NISMO factory-tuned performance.” In addition to an exterior revamp that includes an aggressive front and rear fascia, NISMO specific wheels, and subtle badging, Nissan’s NISMO division also set about making the Sentra NISMO handle with Michelin Pilot Sport all-season tires, a dropped ride height, increased structural rigidity, and NISMO-tuned suspension. 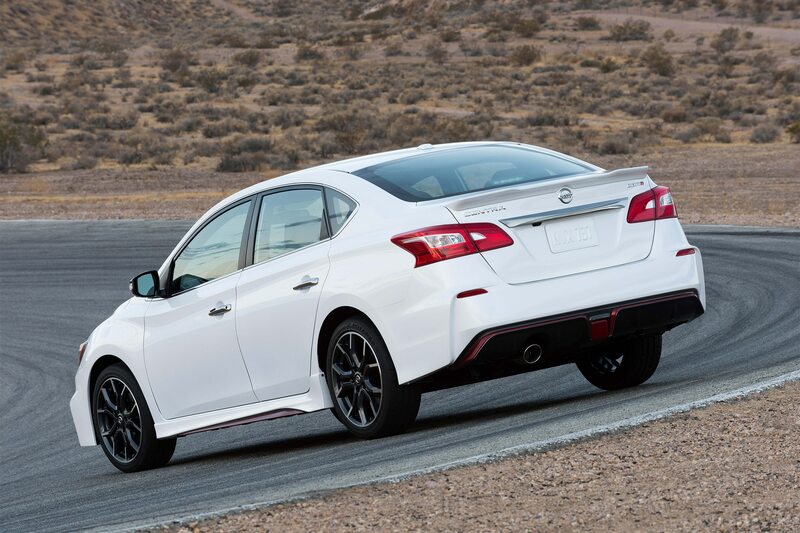 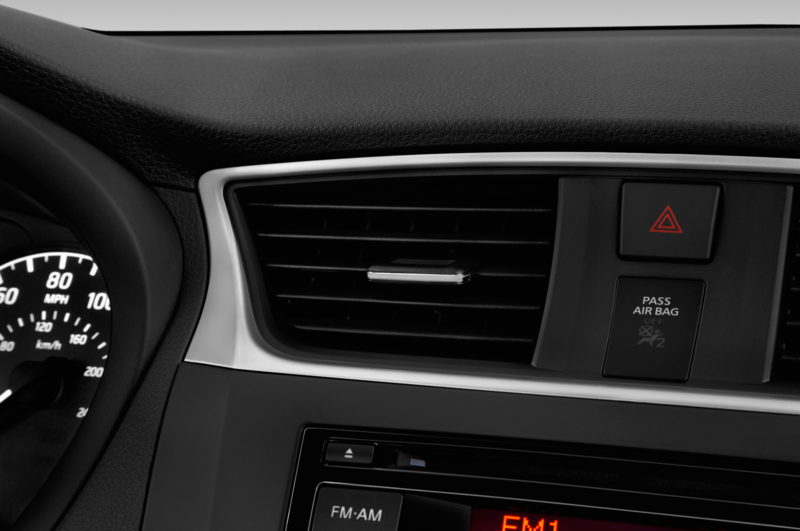 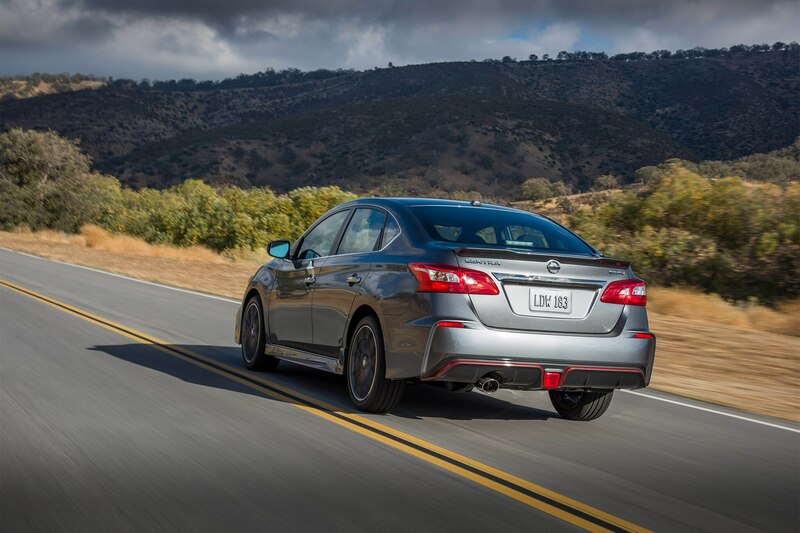 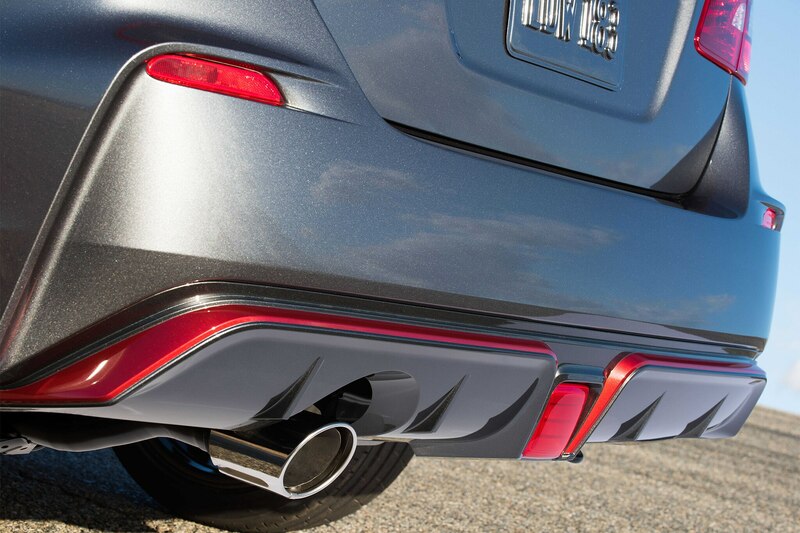 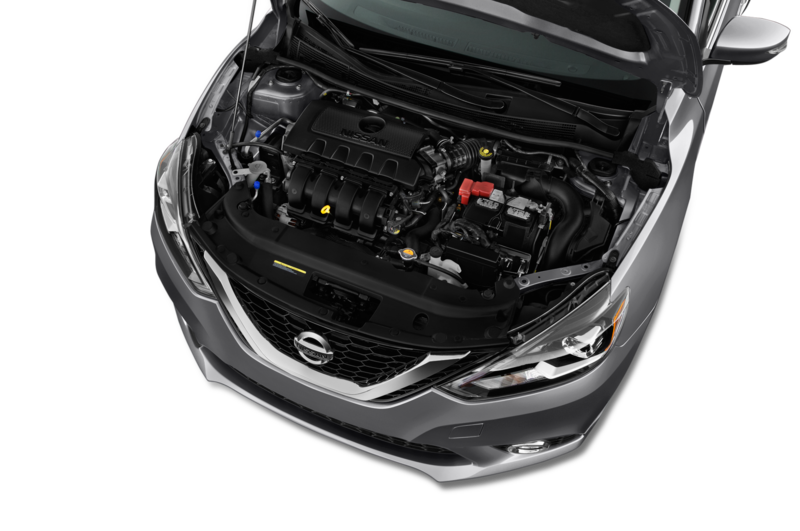 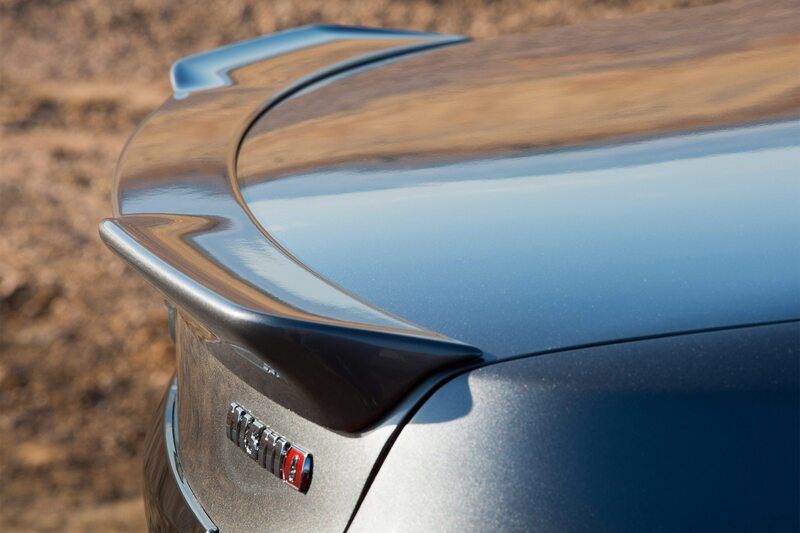 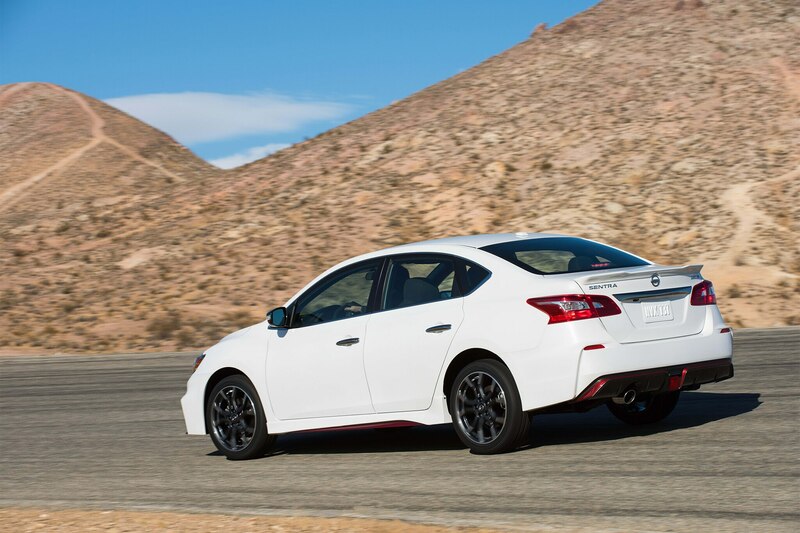 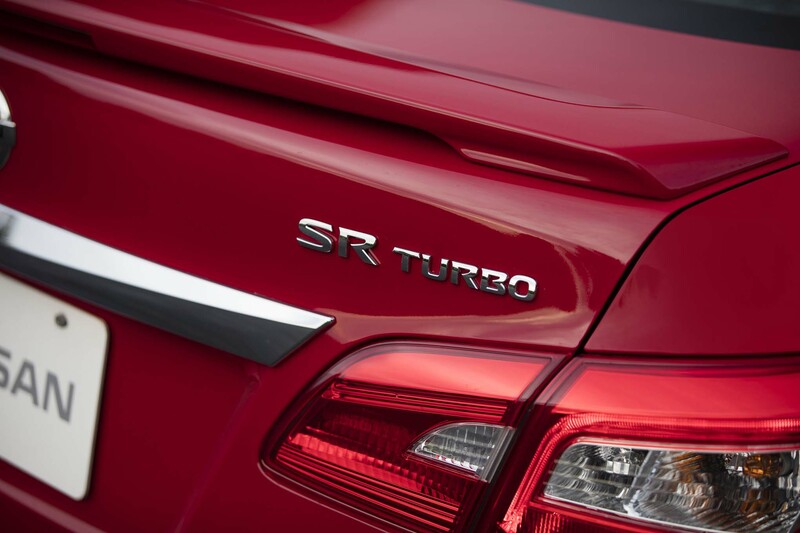 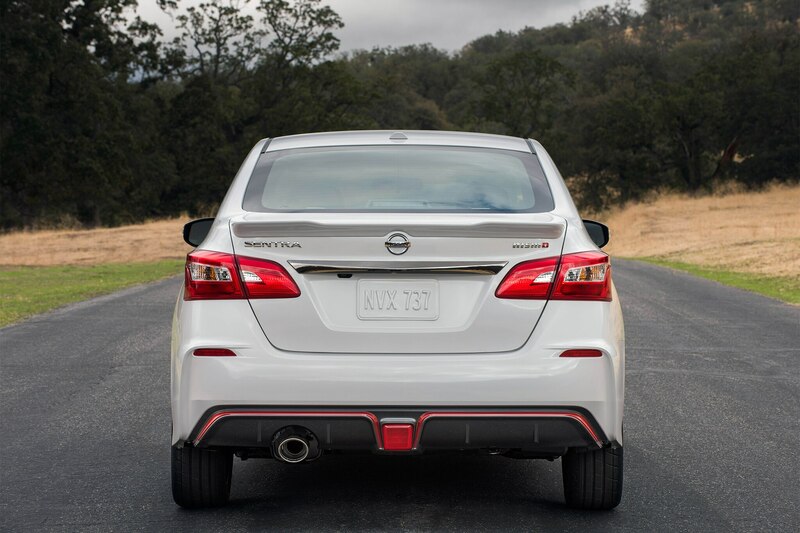 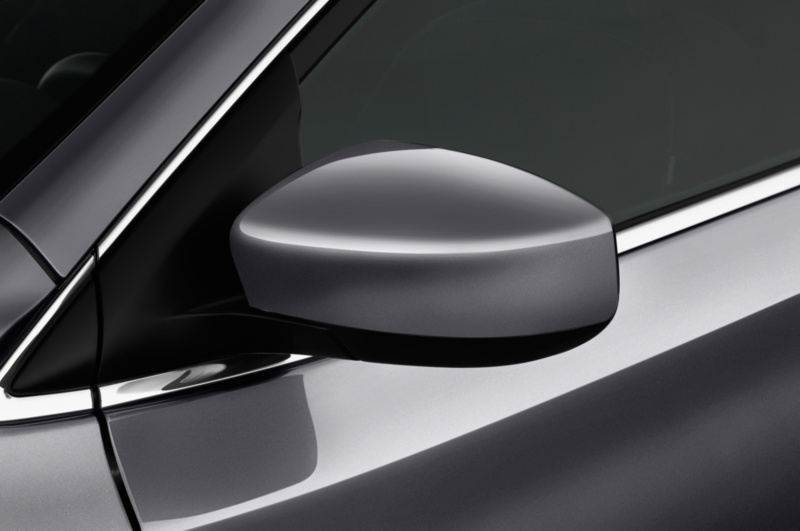 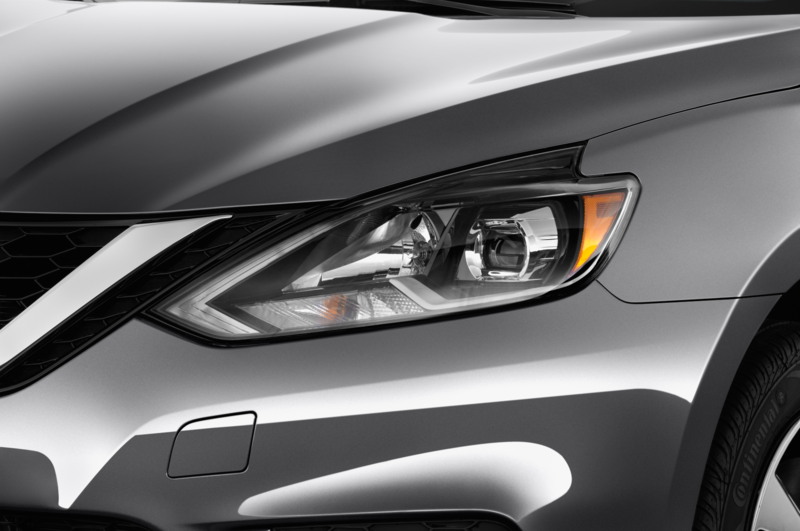 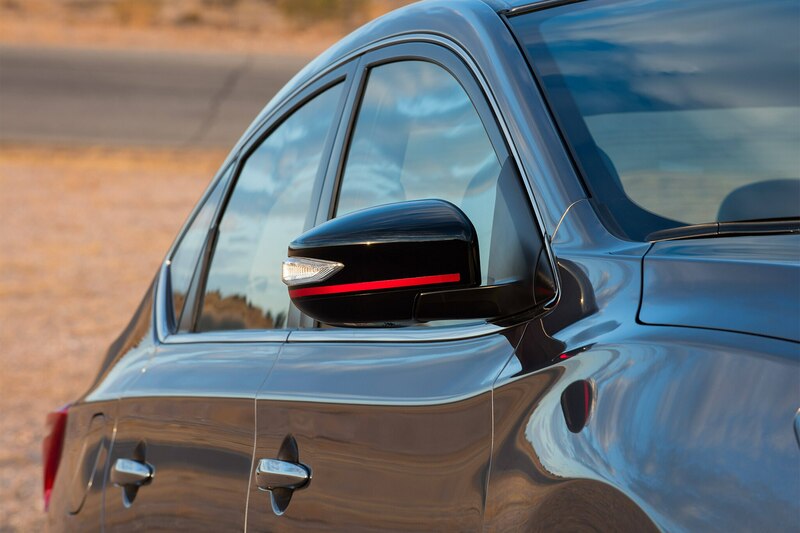 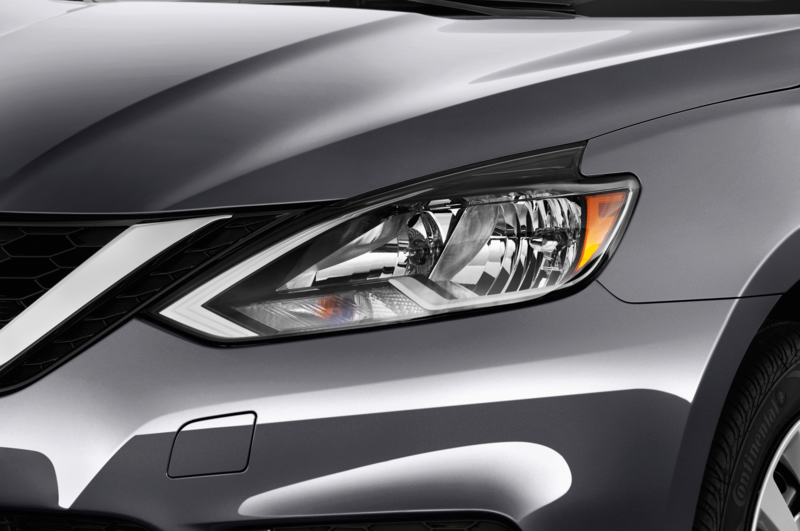 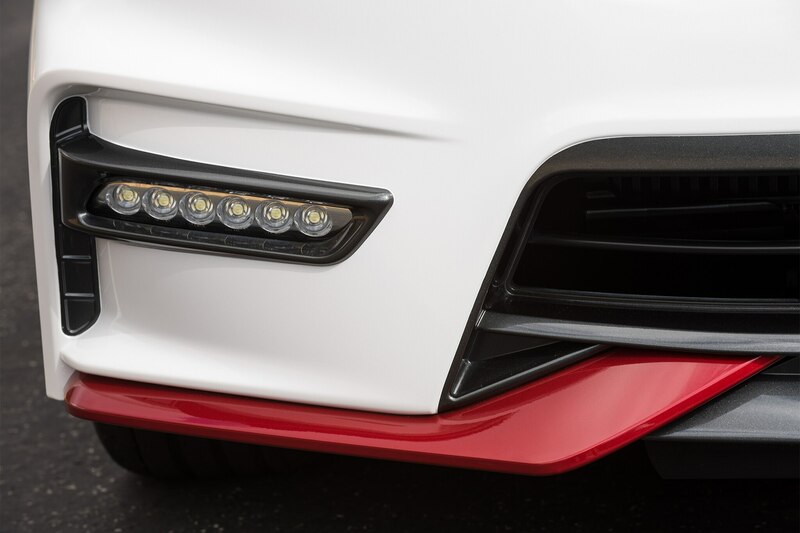 Tuned to provide better feedback and handling, the Sentra NISMO’s independent strut front/ torsion beam rear suspension adopts monotube rear dampers with unique tuning in the front springs and struts. 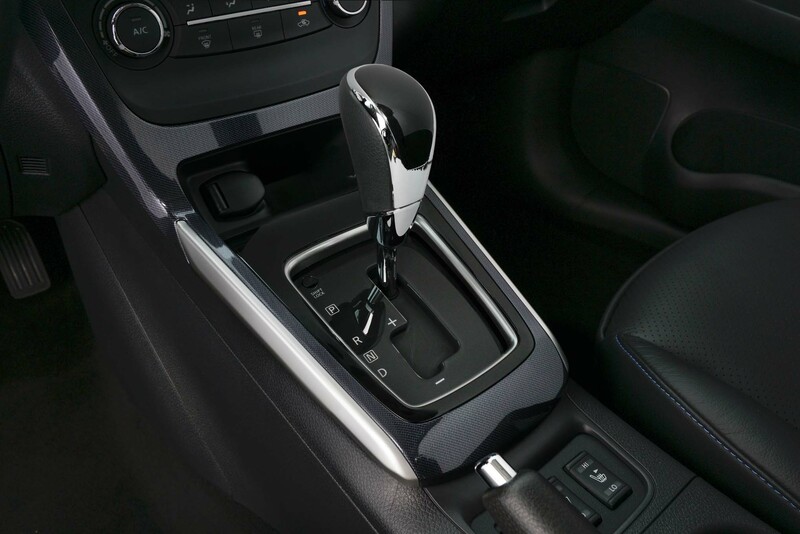 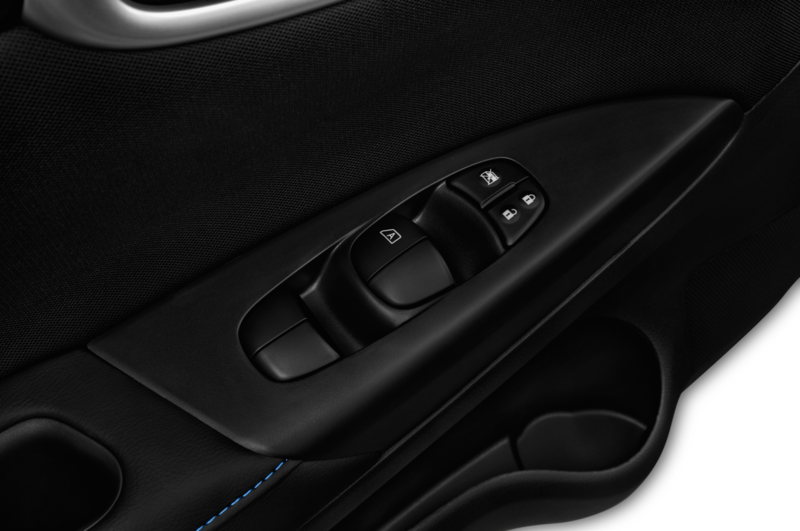 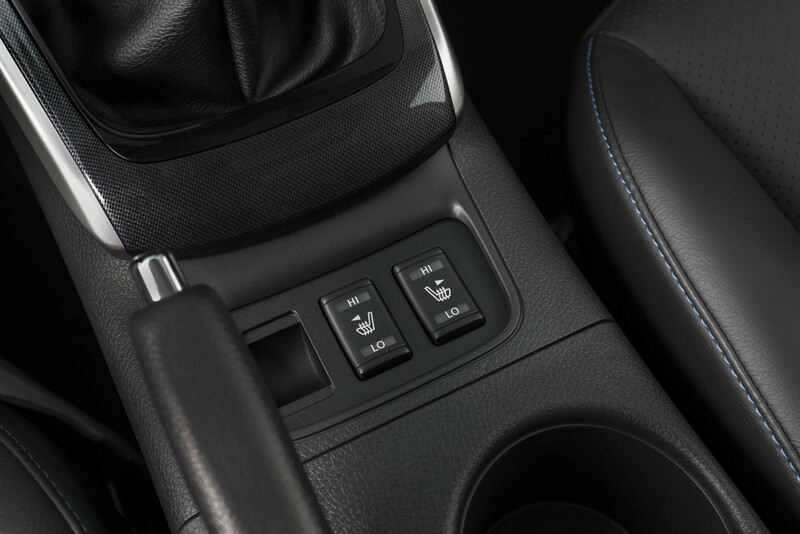 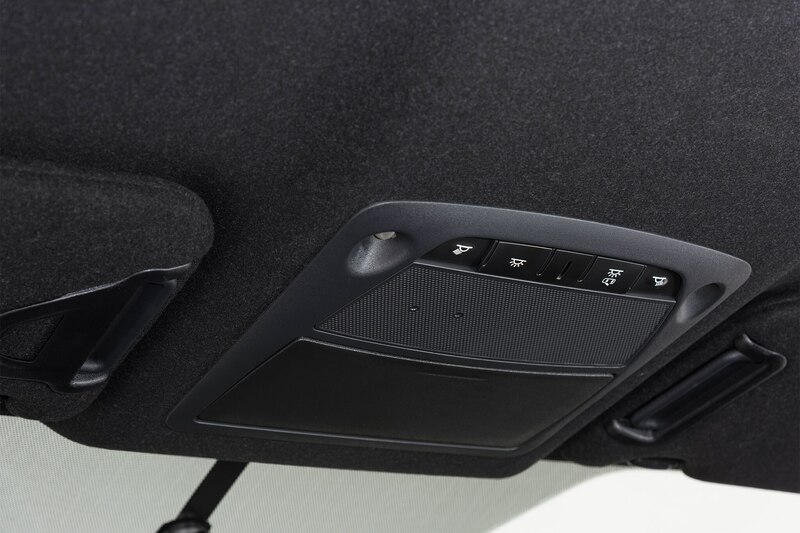 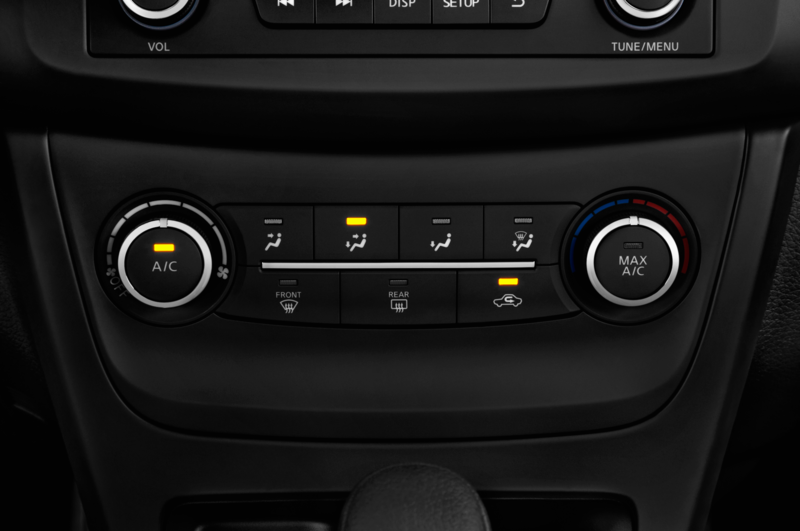 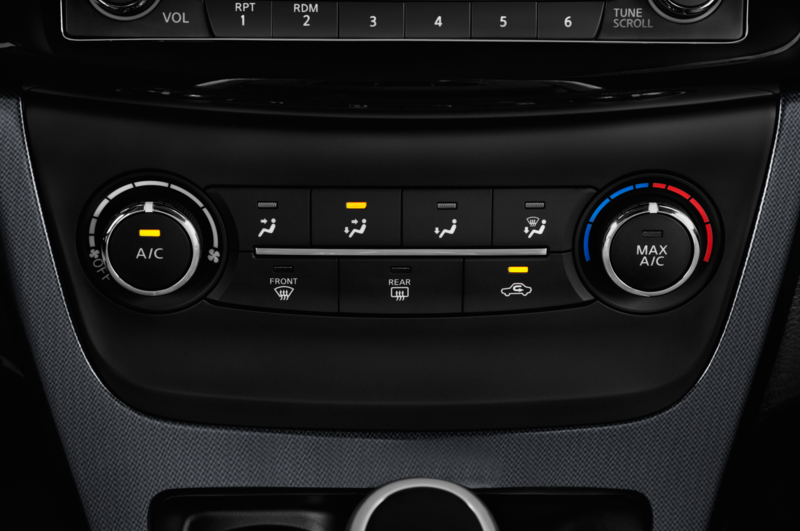 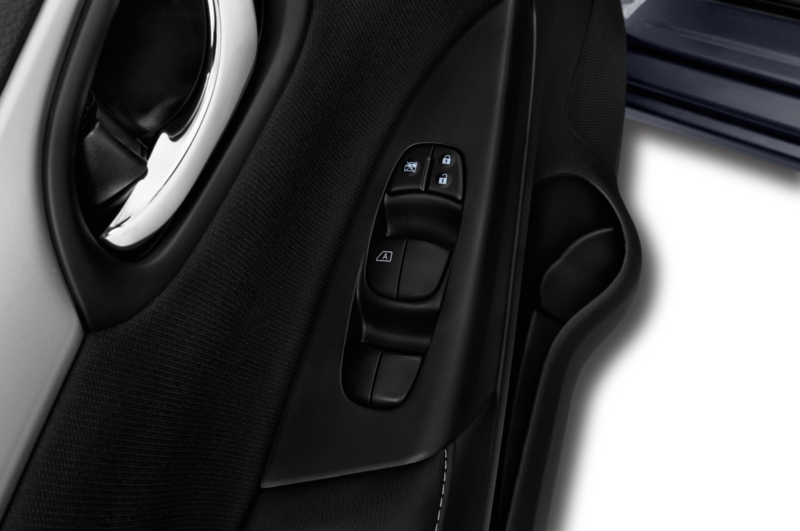 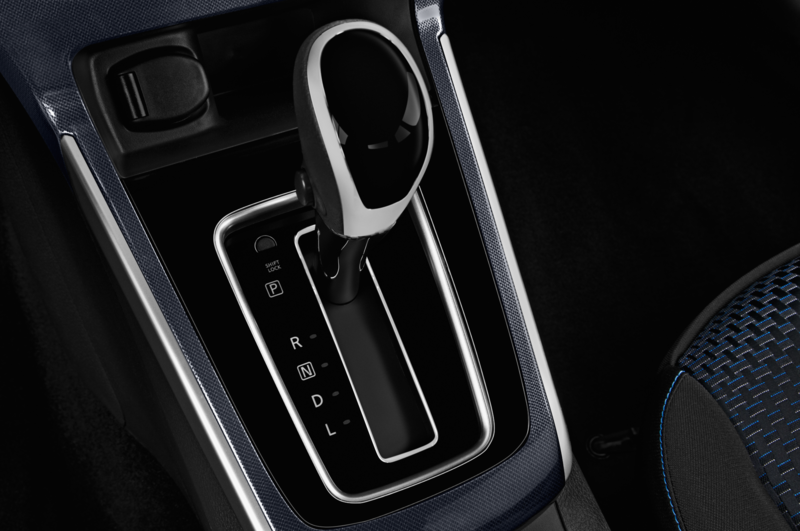 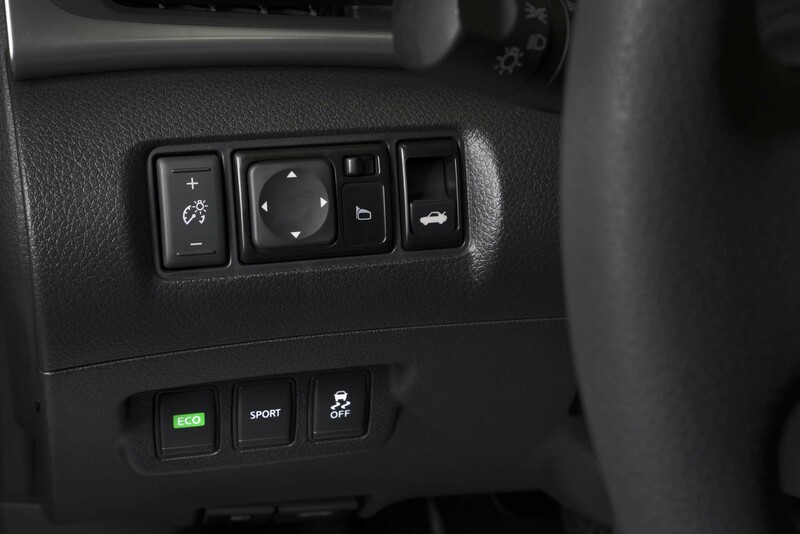 The design of the shocks features individual oil and gas chambers and a better charge ratio to provide drivers a quicker response during velocity adjustments. 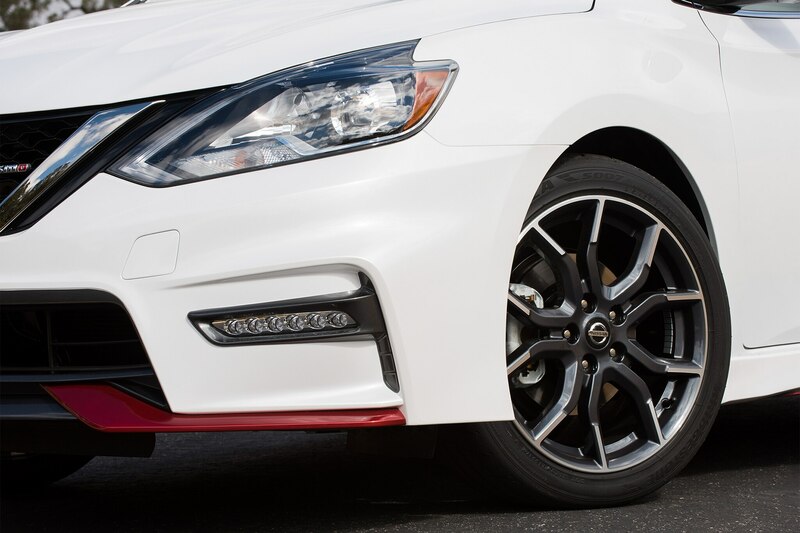 NISMO also tuned the springs and struts to reduce the Sentra NISMO’s roll and pitch for better cornering feel and to provide a more confidence inspiring ride. 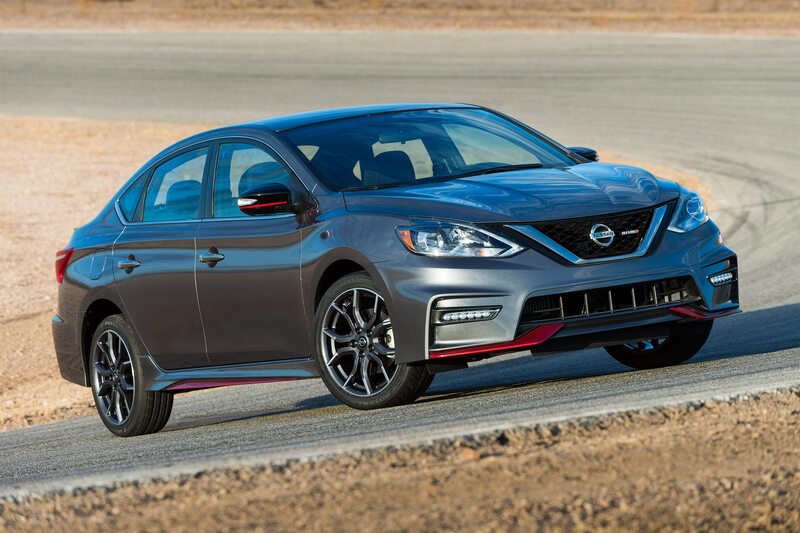 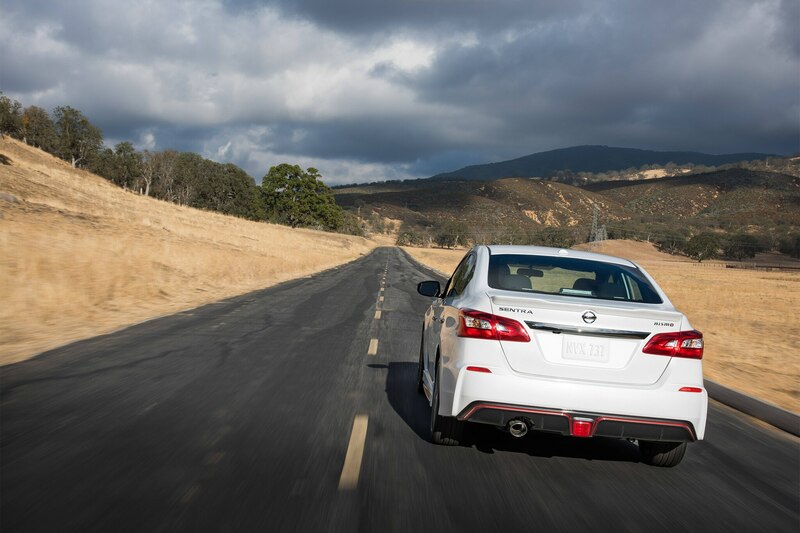 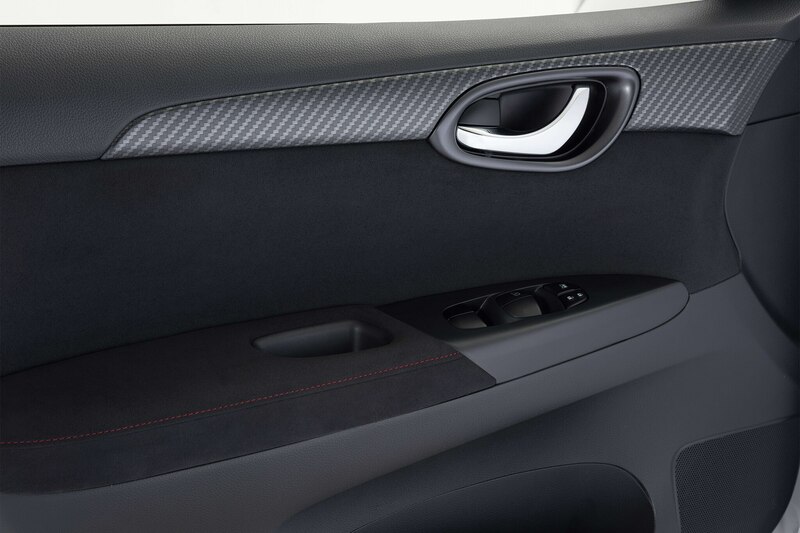 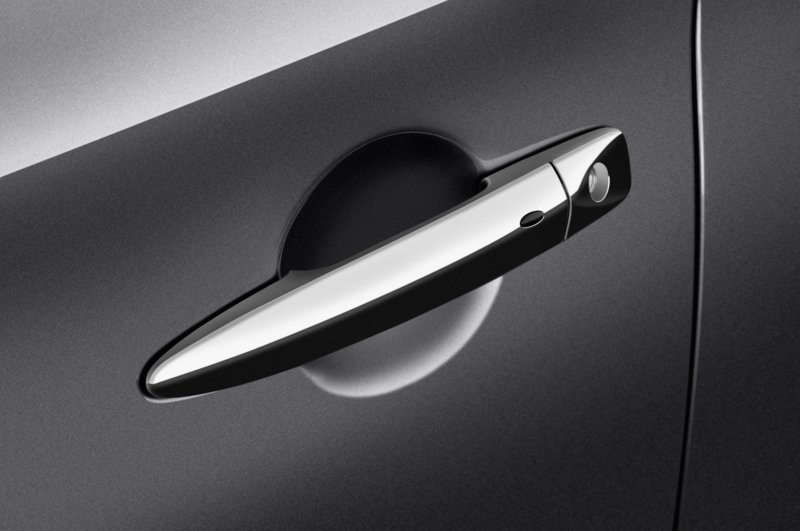 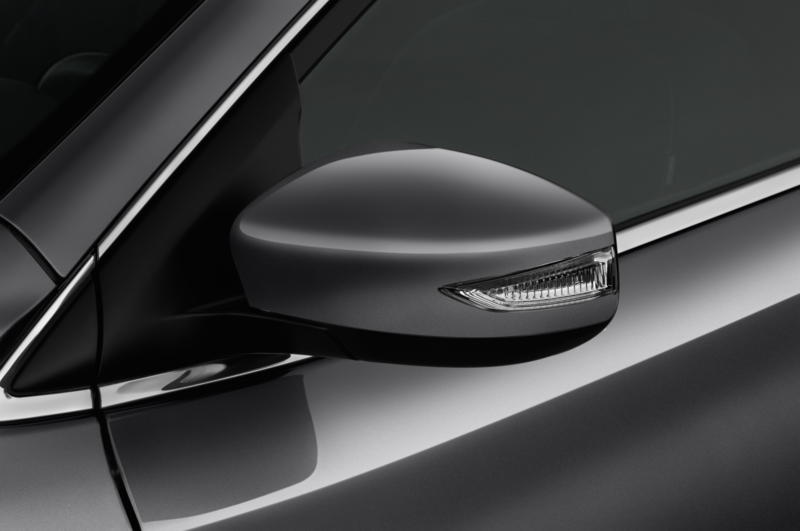 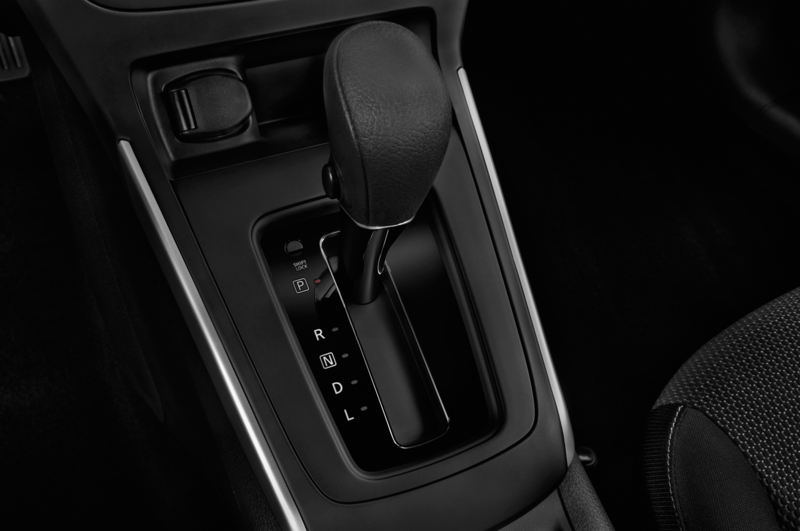 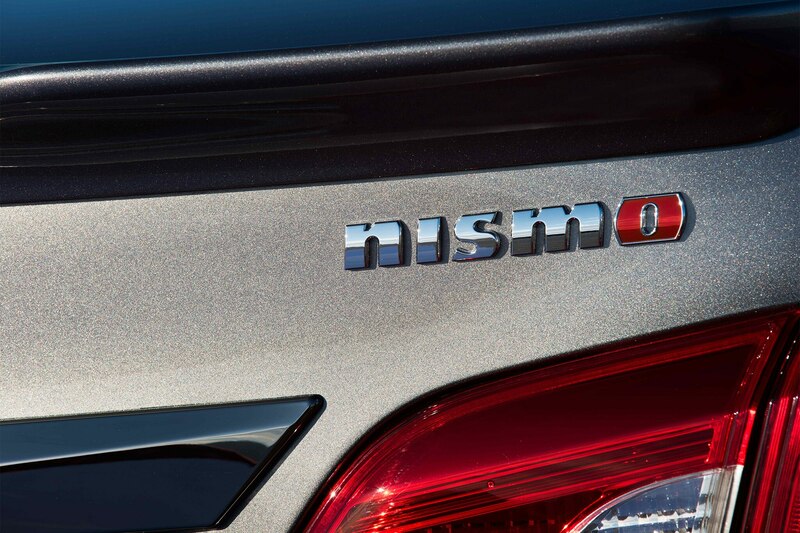 Additionally, NISMO wanted a linear, direct steering feel that also provided good highway feedback and precise on-center definition without feeling too heavy. 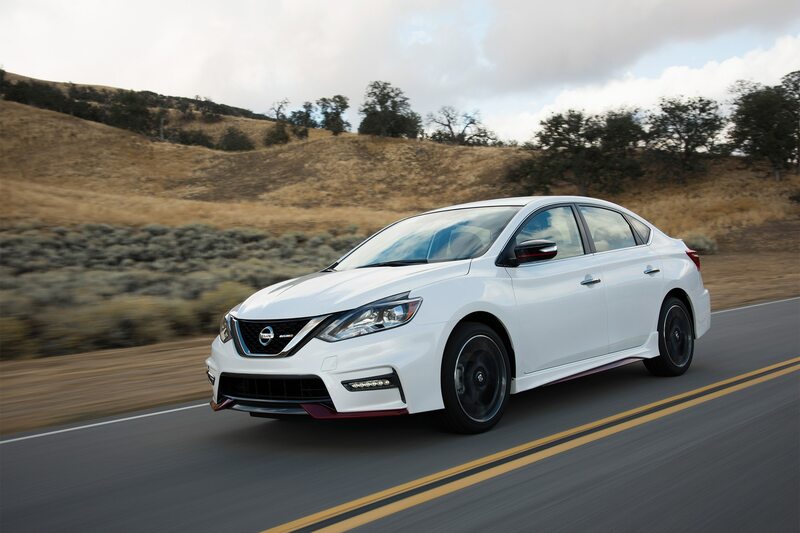 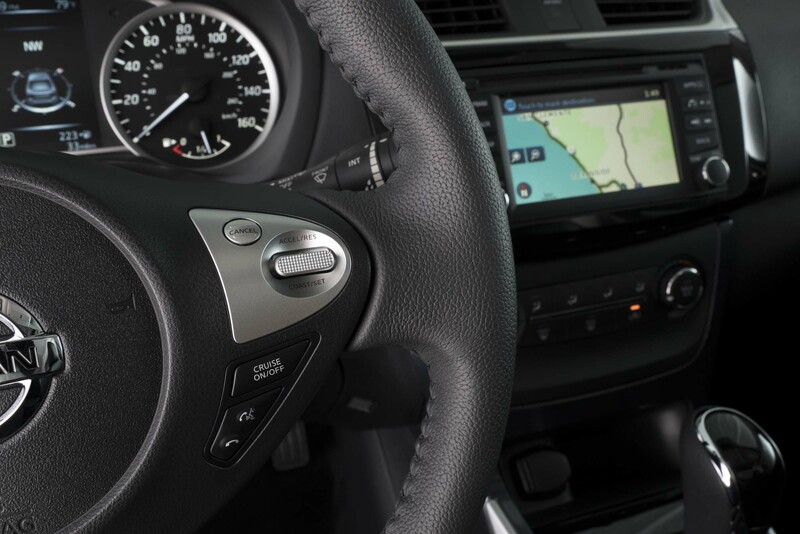 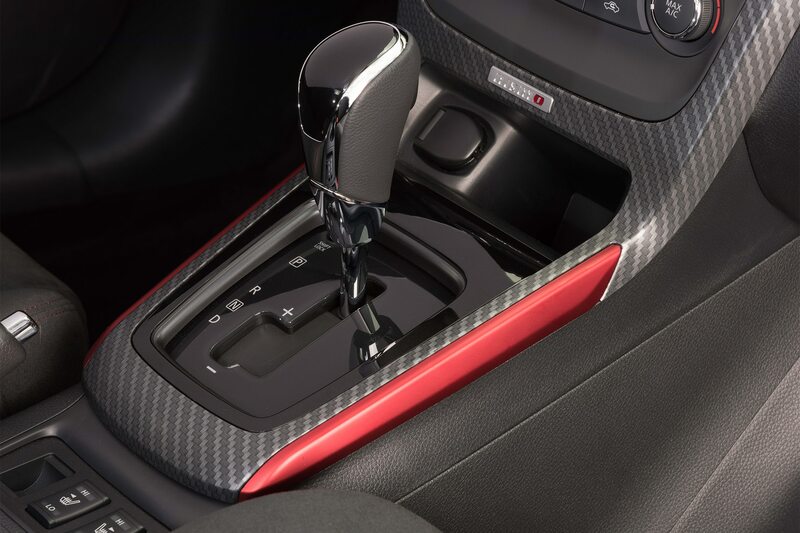 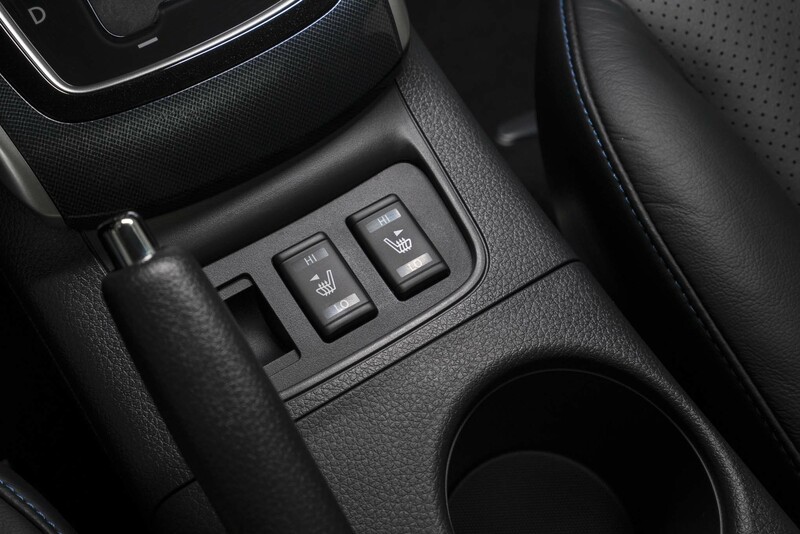 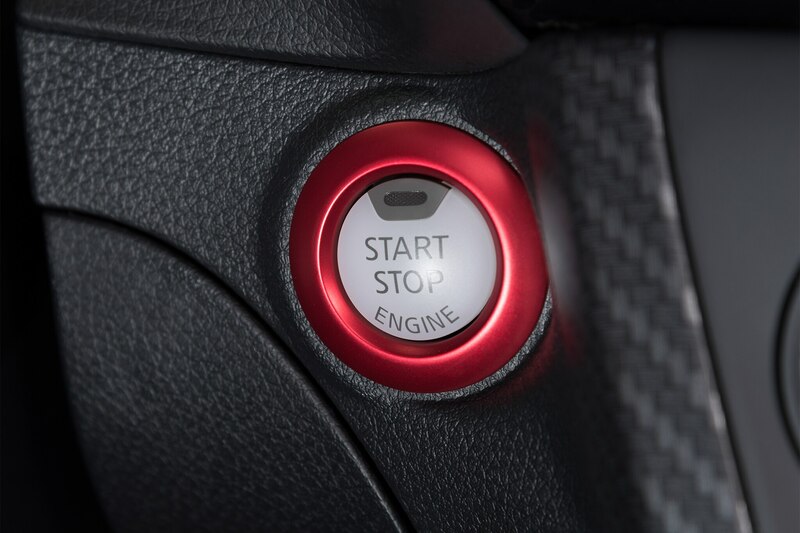 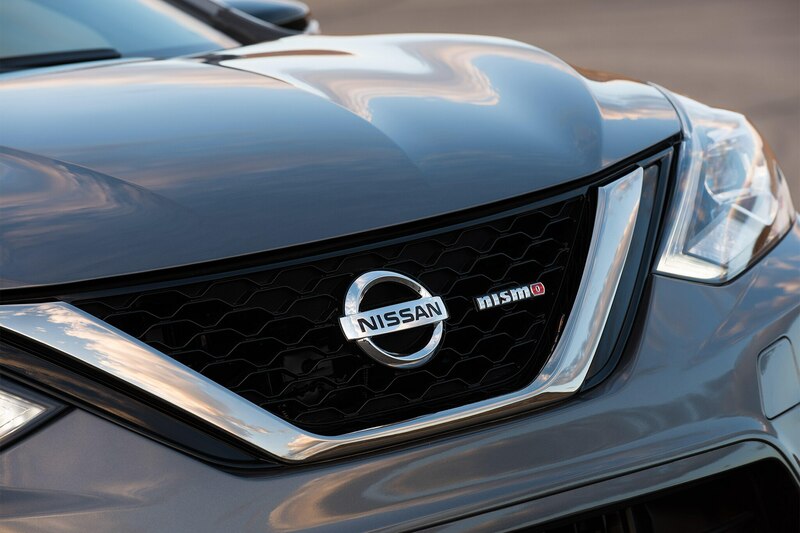 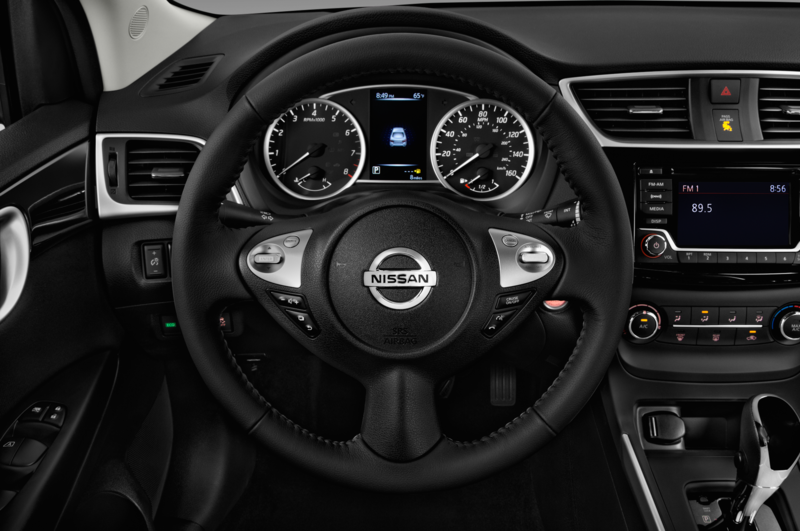 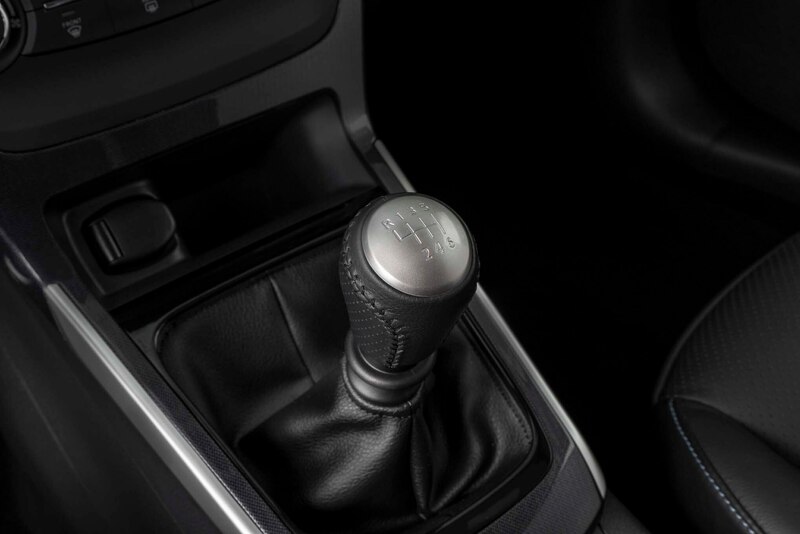 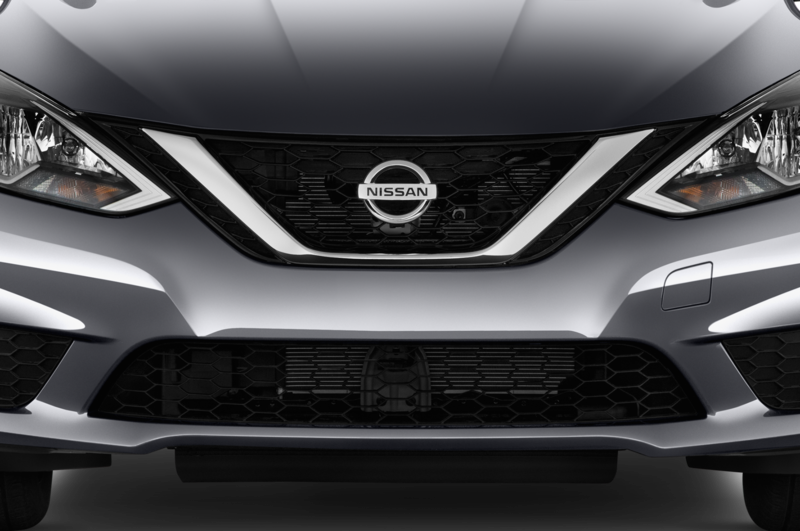 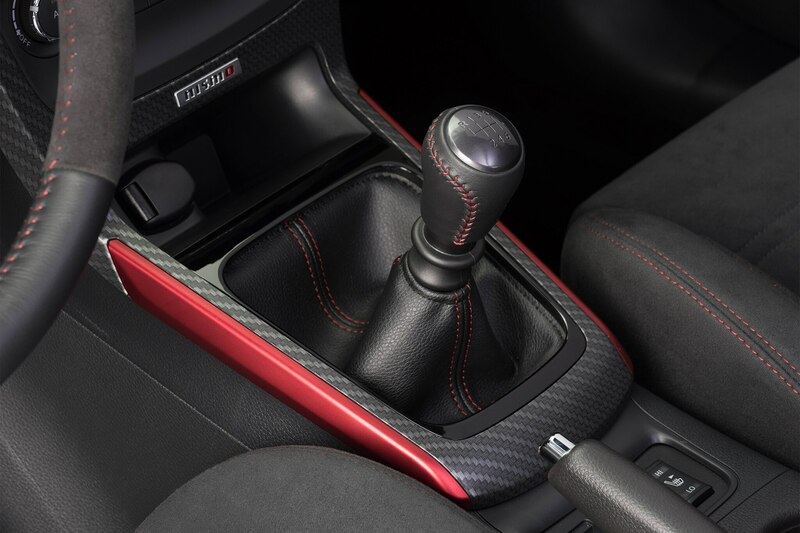 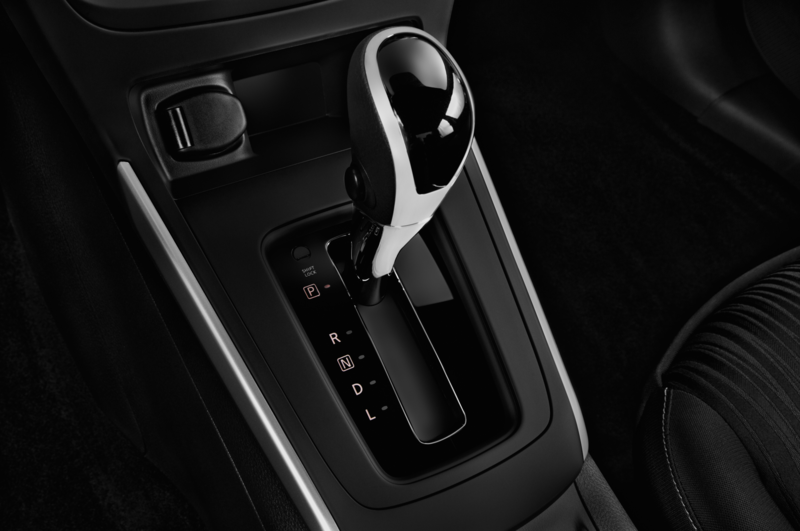 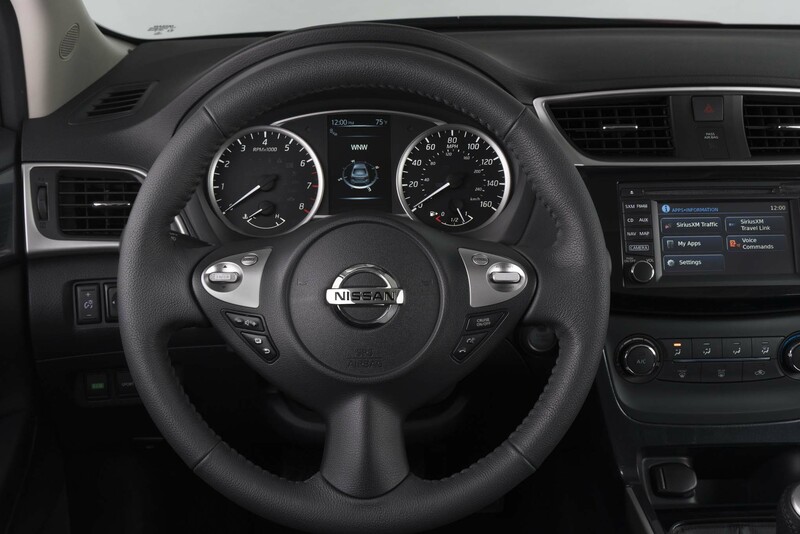 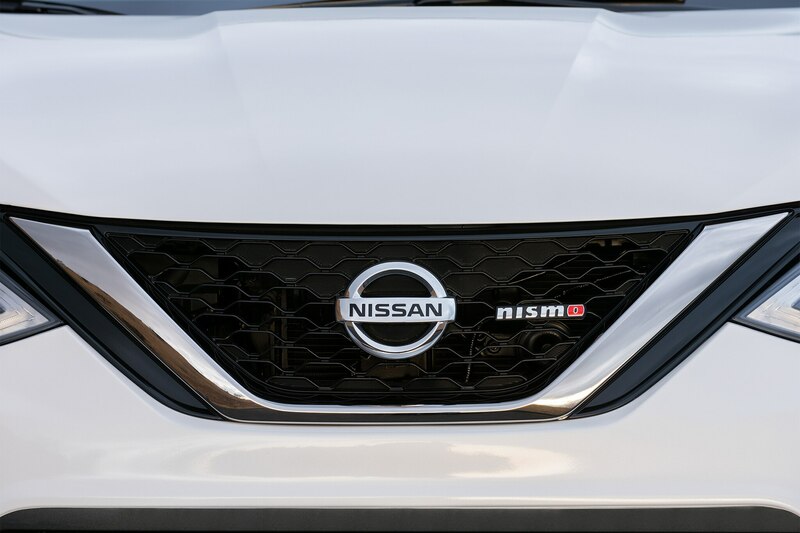 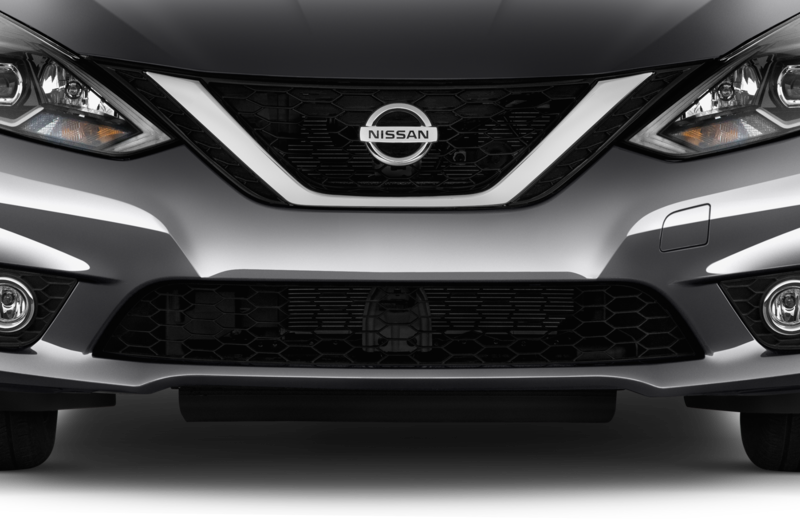 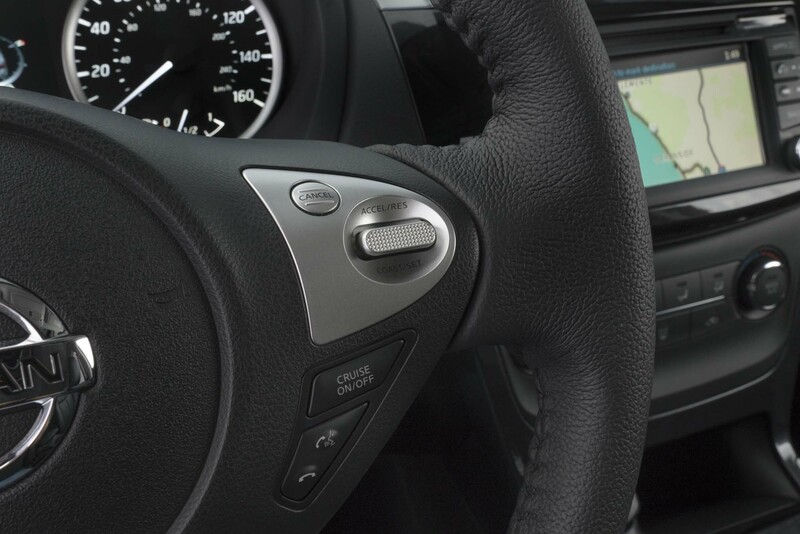 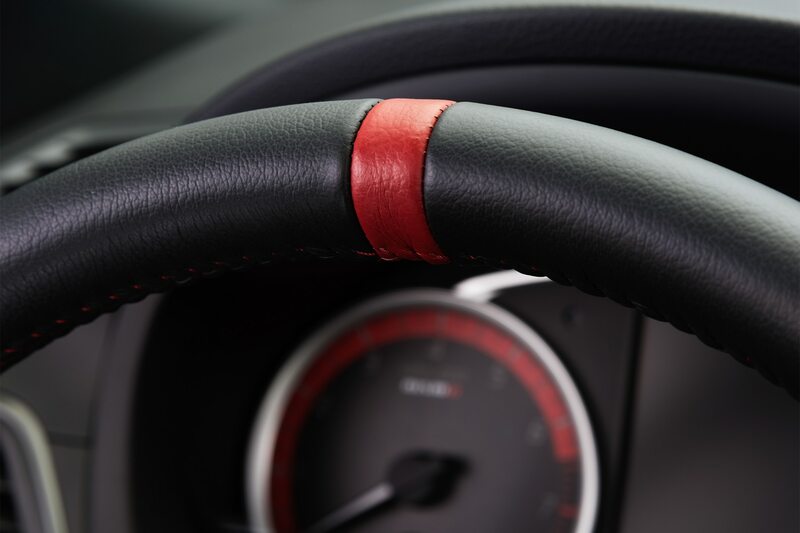 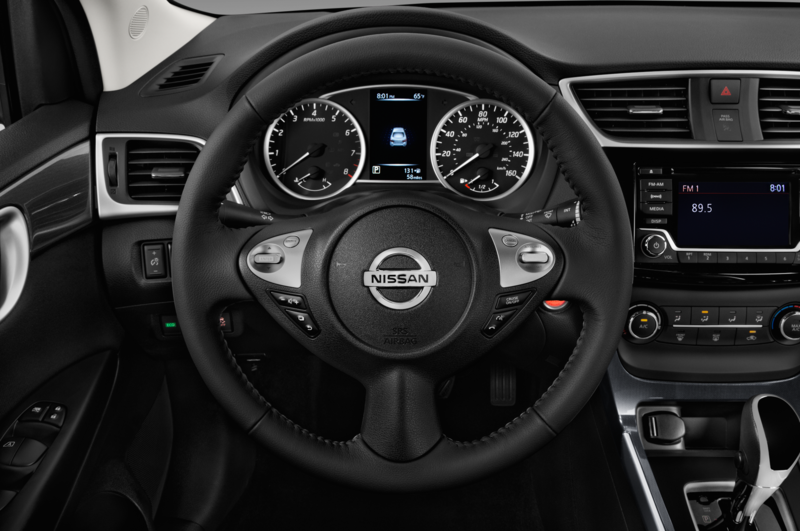 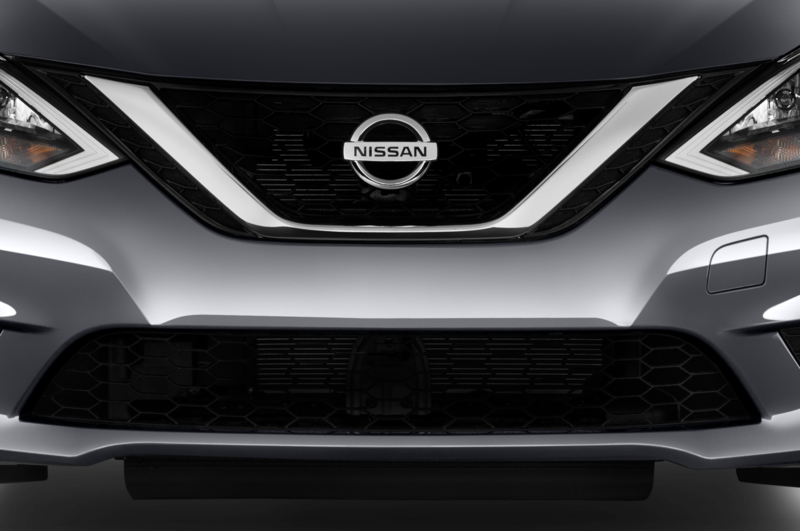 To accomplish that goal, NISMO tuned the electric power steering system to provide a “NISMO feel,” dialing the steering in so that it provides the right amount of effort to response. 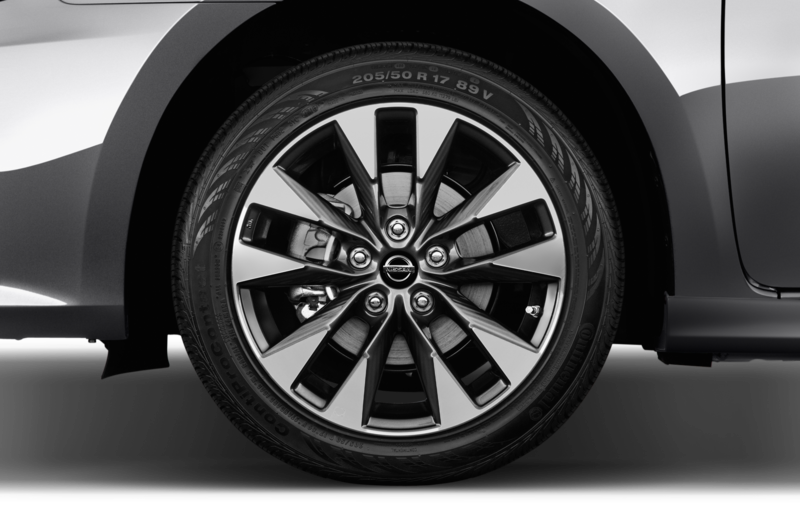 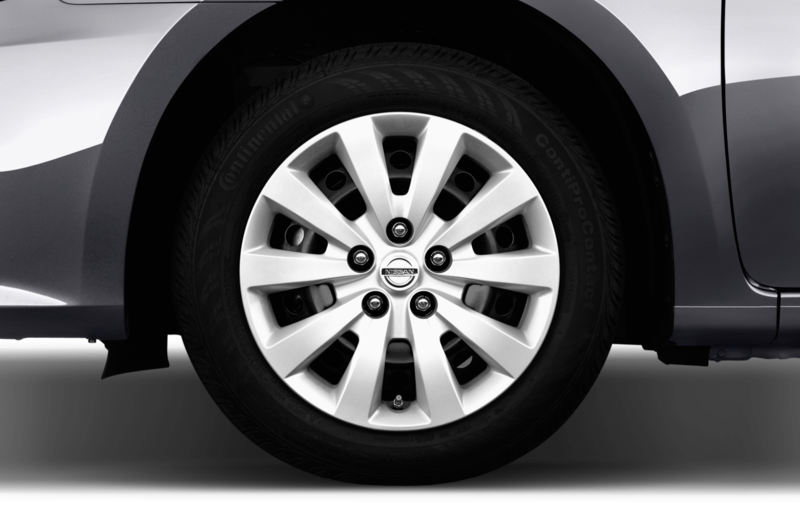 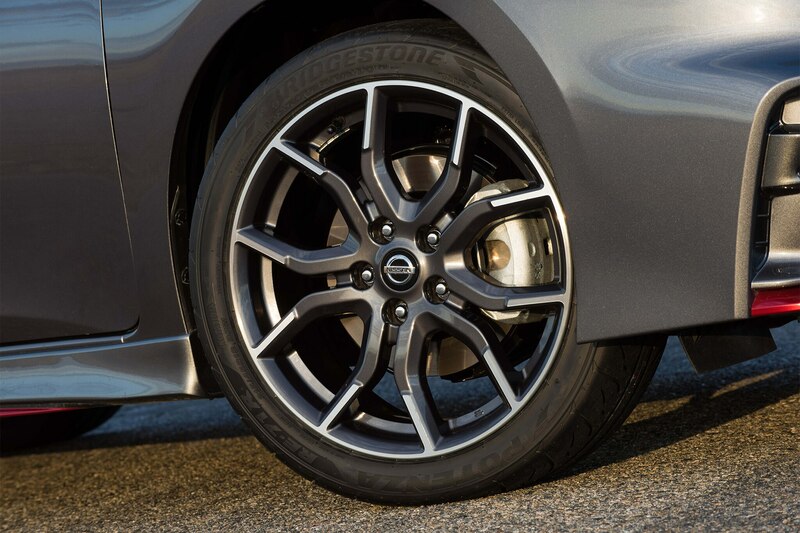 According to Nissan, for customers wanting more performance in terms of handling, an optional Bridgestone Potenza RE-71R summer tire will be available through Nissan dealers. 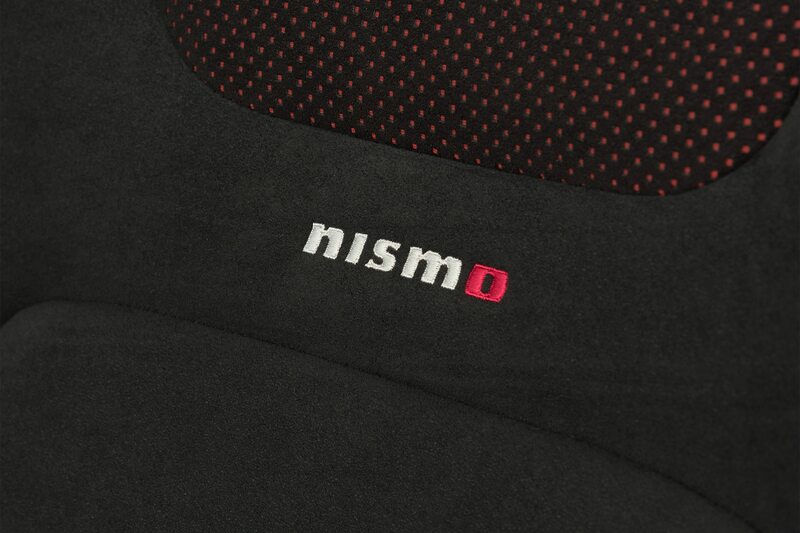 Pricing and a release date have yet to be announced.